Albrecht, Karsten, Reiser, Oliver, Weber, Martin and Meijere, Armin de (1992) Domino-Heck Coupling of Aryl Halides and Dicyclopentadiene: A Simple Access to Polycyclic Arene-Anellated Cyclopentadienes as Ligands for Metal Complexes. Synlett 1992 (6), pp. 521-524. Fulltext not available. Andrew, S, Theilmann, J, Hedrick, A, Mah, D, Weber, Bernhard H. F. and Hayden, M R (1992) Nonrandom association between huntington disease and two loci separated by about 3 Mb on 4p16.3. Genomics 13 (2), pp. 301-311. Fulltext not available. Angerer, E. von, Birnböck, H., Kager, M. and Maucher, A. (1992) The effect of a combination of zindoxifene and cisplatin on Dunning R3327-G prostatic carcinomas of the rat. Journal of cancer research and clinical oncology 118 (5), pp. 339-343. Fulltext not available. Angerer, Erwin von and Erber, Sebastian (1992) 3-Alkyl-2-phenylbenzo[b]thiophenes: nonsteroidal estrogen antagonists with mammary tumor inhibiting activity. The Journal of steroid biochemistry and molecular biology 41 (3-8), pp. 557-562. Fulltext not available. Angerer, S. von, Angerer, E. von, Ambros, R. and Wiegrebe, Wolfgang (1992) Ring-cleavage of Phthalidisoquinoline Alkaloids by Ethyl Chloroformate. Archiv der Pharmazie 325, pp. 425-431. Angerer, S. von, Brandl, G., Mannschreck, Albrecht, Weimar, C. and Wiegrebe, Wolfgang (1992) Dibenzo[a,g]quinolizin-8-ones: synthesis, estrogen receptor affinities, and cytostatic activity. Anti-Cancer Drug Design 7, pp. 351-363. BLESS, D.M., BAKEN, R.J., Hacki, Tamas, FRITZELL, B., LAVER, J., SCHUTTE, H., HIRANO, M., LOEBELL, E., TITZE, I., FAURE, M.A., MULLER, A., WENDLER, J., FEX, S., KOTBY, M.N., BREWER, D., SONNINEN, A. and HURME, P. (1992) International Association of Logopedics and Phoniatrics (IALP) Voice Committee Discussion of Assessment Topics. The Journal of Voice 6 (2), pp. 194-210. Bagan, E., Ball, Patricia, Braun, Vladimir M. and Dosch, H. G. (1992) QCD sum rules in the effective heavy quark theory. Physics Letters B 278 (4), pp. 457-464. Bali, Gunnar S. and Schilling, K. (1992) Static quark-antiquark potential: Scaling behavior and finite-size effects in SU(3) lattice gauge theory. Physical Review D 46 (6), pp. 2636-2646. Fulltext not available. Balitsky, Ianko I. and Braun, Vladimir M. (1992) Valleys in Minkowski space and instanton-induced cross sections. Nuclear Physics B 380 (1-2), pp. 51-82. Balkan, A., Uma, S., Ertan, M. and Wiegrebe, Wolfgang (1992) Abspaltung ortho-ständiger Substituenten aus ionisierten Phenyl-2-propanonen nach Elektronenstoßaktivierung. Archiv der Pharmazie 325, pp. 751-760. Balkan, A., Uma, S., Ertan, M. and Wiegrebe, Wolfgang (1992) Thiazolo[3,2-α]-pyrimidine derivatives as calcium antagonists. Pharmazie 47 (9), pp. 687-688. Bauer, J., Grimm, D., Hofstaedter, Ferdinand and Wieland, W. (1992) Techniques for studies on growth characteristics of human prostatic cancer cells. Biotechnology progress 8 (6), pp. 494-500. Fulltext not available. Baumann, Gert, Buschauer, Armin and Felix, Stefan B. (1992) Hemodynamic profile of arpromidine and its F_2-substituted derivatives in comparison to impromidine in congestive heart failure. Agents Actions Special Co, C329-C332. Fulltext not available. Baumann, Rosemarie and Meuer, H. J. (1992) Blood oxygen transport in the early avian embryo. Physiological reviews 72 (4), pp. 941-965. Beckenlehner, Karin, Bannke, Silke, Spruss, Thilo, Bernhardt, Günther, Schönenberger, Helmut and Schiess, Wilfried (1992) Hyaluronidase enhances the activity of adriamycin in breast cancer models in vitro and in vivo. Journal of cancer research and clinical oncology 118 (8), pp. 591-596. Becker, G., Perez, J., Krone, A., Demuth, K., Lindner, A., Hofmann, E., Winkler, J. and Bogdahn, U. (1992) Transcranial color-coded real-time sonography in the evaluation of intracranial neoplasms and arteriovenous malformations. Neurosurgery 31 (3), pp. 420-428. Fulltext not available. Bednarski, Patrick J., Truembach, Barbara, Kratochwil, Nicole A. and Schönenberger, Helmut (1992) Diamine ligand release from the cisplatin analog [meso-1,2-bis(2,6-dichloro-4-hydroxyphenyl)ethylenediamine]dichloroplatinum(II) in cell culture medium. Journal of medicinal chemistry 35 (23), pp. 4479-4485. Fulltext not available. Bernard, Olivier, Kunz, Werner, Turq, P. and Blum, L. (1992) Conductance in electrolyte solutions using the mean spherical approximation. Journal of Physical Chemistry 96 (9), pp. 3833-3840. Fulltext not available. Bernard, Olivier, Kunz, Werner, Turq, P. and Blum, L. (1992) Self-diffusion in electrolyte solutions using the mean spherical approximation. Journal of Physical Chemistry 96 (1), pp. 398-403. Fulltext not available. Bernhardt, Günther, Gust, Ronald, Reile, Herta, vom Orde, Hans Dieter, Müller, Richard, Keller, Christoph, Spruß, Thilo, Schönenberger, Helmut, Burgemeister, Thomas, Mannschreck, Albrecht, Range, Klaus Jürgen and Klement, Ulrich (1992) [1,2-Bis(2-hydroxyphenyl)ethylenediamine]dichloroplatinum(II), a new compound for the therapy of ovarian cancer. III. Detailed evaluation of the antitumor activity of the enantiomeric complexes on the human NIH:OVCAR-3 ovarian cancer cell line. Journal of cancer research and clinical oncology 118 (3), pp. 209-215. Bernhardt, Günther, Gust, Ronald, Reile, Herta, vom Orde, Hans Dieter, Müller, Richard, Keller, Christoph, Spruß, Thilo, Schönenberger, Helmut, Burgemeister, Thomas, Mannschreck, Albrecht, Range, Klaus-Jürgen and Klement, Ulrich (1992) [1,2-Bis(2-hydroxyphenyl)ethylenediamine]dichloroplatinum(II), a new compound for the therapy of ovarian cancer. II. Synthesis and preliminary testing of the enantiomeric complexes. Journal of cancer research and clinical oncology 118 (3), pp. 201-208. Bernhardt, Günther, Müller, Richard, Gust, Ronald, Reile, Herta, Keller, Christoph, Spruss, Thilo and Schönenberger, Helmut (1992) Dichloro-[1-(hydroxyphenyl)-2-phenylethylenediamine]platinum(II) complexes: testing on the human ovarian cancer cell lines NIH: OVCAR3 and SK OV 3. Archiv der Pharmazie 325 (2), pp. 93-99. Bernhardt, Günther, Reile, Herta, Birnböck, Herbert, Spruss, Thilo and Schönenberger, Helmut (1992) Standardized kinetic microassay to quantify differential chemosensitivity on the basis of proliferative activity. Journal of cancer research and clinical oncology 118 (1), pp. 35-43. Bernhardt, K.-G. and Poschlod, Peter (1992) Der Diasporenvorrat in Böden als ein Teil der Vegetation. Teil: Europa. Excerpta botanica, Sec B: Sociologica 29 (4), pp. 241-260. Blank, W. and Brawanski, Alexander (1992) Intrasacral meningeal cyst demonstrated by magnetic resonance imaging. Neurosurgical review 15 (4), pp. 323-325. Fulltext not available. Blaschek, W., Döll, M. and Franz, Gerhard (1992) Activation of Limulus amoebocyte lysate (LAL) by ß-glucans. Pharmaceutical and pharmacological letters 1, pp. 118-122. Fulltext not available. Blaschek, W., Käsbauer, J., Kraus, J. and Franz, Gerhard (1992) Pythium aphanidermatum: culture, cell-wall composition, and isolation and structure of antitumour storage and solubilised cell-wall(1 → 3),(1 → 6)-β-d-glucans. Carbohydrate research 231, pp. 293-307. Fulltext not available. Bollschweiler, E., Siewert, J. R., Lorenz, Wilfried, Ohmann, C. and Selbmann, H. K. (1992) Beschreibung des postoperativen Verlaufs. Welche Angaben sind notwendig? Mortalität oder Letalität, während des Klinikaufenthaltes, innerhalb von 30 bzw. 90 Tagen? [Recording the postoperative course. What data are necessary? Mortality or fatality, during hospitalization, within 30 and 90 days?]. Langenbecks Archiv für Chirurgie 377 (6), pp. 378-384. Boulton, William, Dowling, Michael and Lohmeyer, Jürgen (1992) Technology Development Strategies in Japan, Europe, and the United States. Technovation 12 (2), pp. 99-118. Fulltext not available. Breindl, E. and Thurmair, Maria (1992) Der Fürstbischof im Hosenrock. Eine Studie zu den nominalen Kopulativkomposita des Deutschen. Deutsche Sprache : ds 20, pp. 32-61. Fulltext not available. Bungardt, Edwin, Buschauer, Armin, Moser, Ulrich, Schunack, Walter, Lambrecht, Günter and Mutschler, Ernst (1992) Histamine H_1-receptors mediate vasodilation in guinea-pig ileum resistance vessels: Characterization by the use of computer-assisted videomicroscopy and new selective agonists. Eur. J. Pharmacol. 221, pp. 91-98. Fulltext not available. Burland, D. M., Miller, R. D., Reiser, O., Twieg, R. J. and Walsh, C. A. (1992) The design, synthesis, and evaluation of chromophores for second-harmonic generation in a polymer waveguide. Journal of Applied Physics 71, pp. 410-417. Fulltext not available. Buschauer, Armin, Friese-Kimmel, Andrea, Baumann, Gert and Schunack, Walter (1992) Synthesis and histamine H_2 agonistic activity of arpromidine analogues: replacement of the pheniramine-like moiety by non-heterocyclic groups. European Journal of Medicinal Chemistry 27, pp. 321-330. Fulltext not available. Buschauer, Armin, Lachenmayr, Friedhelm and Schunack, Walter (1992) Synthesis and histamine H_2-receptor activity of heterocyclic impromidine analogues. Pharmazie 47, pp. 86-91. Fulltext not available. Bäuml, Karl-Heinz (1992) Diskriminationslernen bei rotierten Gesichtern: Eine Markov-Analyse von Kodierungs- und Assoziationsprozessen. Zeitschrift für experimentelle und angewandte Psychologie 39 (1), pp. 1-17. Bäumler, W. and Penzkofer, Alfons (1992) Femtosecond Pulse Generation in a Linear Passive Mode-Locked Dye Laser,. Opt. Quant. Electron. 24, pp. 313-344. Fulltext not available. Bäumler, W., Schmalzl, A., Gößl, G. and Penzkofer, Alfons (1992) Fluorescence Decay Studies Applying a CPM Dye Laser Pumped Ungated Inverse Time-Correlated Single Photon Counting System. Measurement Science and Technology 3, pp. 384-393. Böddecker, P., Scropetta, C., Schmid, H., Paper, D. H. and Franz, Gerhard (1992) Screening of prenylated flavonoids of Epimedium x perralchicum Stearn for in vivo antitumour activity on Sarcoma - 180. Pharmaceutical and pharmacological letters 2, pp. 91-94. Fulltext not available. Calmettes, P., Kunz, Werner and Turq, P. (1992) Distribution of small organic cations in aqueous solutions. Physica B: Condensed Matter 180-181 (2), pp. 868-870. Fulltext not available. Calmettes, P., Kunz, Werner, Turq, P., Cartailler, T. and Lautié, M.-F. (1992) Determination of the three ion pair-correlation functions of a simple organic salt in solution. Physica B: Condensed Matter 180-181 (2), pp. 871-873. Fulltext not available. Collins, C, Hutchinson, G, Kowbel, D, Riess, O, Weber, Bernhard H. F. and Hayden, M R (1992) The human β-subunit of rod photoreceptor cGMP phosphodiesterase: Complete retinal cDNA sequence and evidence for expression in brain. Genomics 13 (3), pp. 698-704. Fulltext not available. Della Bruna, R., Pinet, F., Corvol, P. and Kurtz, Armin (1992) Calmodulin antagonists stimulate renin secretion and inhibit renin synthesis in vitro. The American journal of physiology 262 (3 Pt 2), F397-F402. Demel, Sabine (1992) Rezension: Joseph Weier: Der Ständige Diakon im Recht der lateinischen Kirche unter besonderer Berücksichtigung der Rechtslage in der Bundesrepublik Deutschland (Münsterischer Kommentar zum Codex Iuris Canonici, Beiheft 2), Essen 1989. Münchener theologische Zeitschrift: MThZ 43, 367f. Fulltext not available. Demel, Sabine (1992) Was ist die Zivilehe für den Katholiken? Klerusblatt 72, pp. 229-231. Fulltext not available. Demleitner, S., Kraus, J. and Franz, Gerhard (1992) Synthesis and antitumour activity of derivatives of curdlan and lichenan branched at C-6. Carbohydrate research 226 (2), pp. 239-246. Fulltext not available. Demleitner, S., Kraus, J. and Franz, Gerhard (1992) Synthesis and antitumour activity of sulfoalkyl derivatives of curdlan and lichenan. Carbohydrate research 226 (2), pp. 247-252. Fulltext not available. DiZio, J. P., Carlson, K. E., Bannochie, C. J., Welch, M. J., Angerer, E. von and Katzenellenbogen, J. A. (1992) Estrogen platinum-diamine complexes: preparation of a non-steroidal estrogen platinum-diamine complex labeled with platinum-191 and a study of its binding to the estrogen receptor in vitro and its tissue distribution in vivo. The Journal of steroid biochemistry and molecular biology 42 (3-4), pp. 363-373. Fulltext not available. Dotzler, Bernhard (1992) Am Nullpunkt der Theorie : Heinz von Foerster und die Wirklichkeit des Radikalen Konstruktivismus. Rechtshistorisches Journal (11), pp. 200-222. Fulltext not available. Dotzler, Bernhard (1992) Rezension: Karl Leidlmair, Künstliche Intelligenz und Heidegger. Über den Zwiespalt von Natur und Geist, München 1991. Freiburger Universitätsblätter (117). Fulltext not available. Dotzler, Bernhard (1992) Zahlenfresser fressen alles (Rezension: Arno Penzias, Phantasie und Information. Verständnis für unsere High-Tech-Welt, Stuttgart 199). FAZ. Fulltext not available. Dowling, Michael (1992) Mehrwertdienste in Deutschland und den USA. Teil 2. Funkschau (1), pp. 46-49. Fulltext not available. Dowling, Michael (1992) Rezension zu: Mody, Ashoka/ Wheeler, David: Automation and World Competition: New Technologies, Industrial Location and Trade. Basingstoke: Macmillan, 1990. The Columbia Journal of World Business Summer 199, pp. 92-94. Fulltext not available. Dowling, Michael (1992) Rezension zu: Scott Morton, Michael S.: The Corporation of the 1990s: Information Technology and Organizational Transformation. Oxford: Oxford Univ. Press, 1991. The Columbia Journal of World Business Winter 199, pp. 78-79. Fulltext not available. Dowling, Michael and Ruefli, Timothy (1992) Buyer-Seller Relationships and Technology Strategy. The Journal of High Technology Management Research 3 (2), pp. 289-302. Fulltext not available. Dowling, Michael and Ruefli, Timothy (1992) Extended Buyer-Seller Relationships and Technology Strategy for Corporate Growth and Renewal. Advances in Global High Technology Management 2, pp. 133-150. Fulltext not available. Dowling, Michael and Ruefli, Timothy (1992) Technological Innovation as a Gateway to Entry: The Case of the Telecommunications Equipment Industry. Research Policy 21 (1), pp. 63-78. Fulltext not available. Dray, A.E., Rachel, Reinhard, Saxton, W.O., Donald, A.M., Friend, R.H., Khan, M.S. and Lewis, J. (1992) Beam damage in a transition metal-containing poly-yne. Ultramicroscopy 41, pp. 83-88. Fulltext not available. Dray, A.E., Rachel, Reinhard, Saxton, W.O., Lewis, J., Khan, M.S., Donald, A.M. and Friend, R.H. (1992) Structure of a transition metal-containing poly-yne. Macromolecules 25, pp. 3473-3479. Fulltext not available. Drobner, E., Huber, Harald, Rachel, R. and Stetter, Karl Otto (1992) Thiobacillus plumbophilus spec. nov., a novel galena and hydrogen oxidizer. Archives of Mikrobiology = Arch. Microbiol. 157 (3), pp. 213-217. Drobner, E., Huber, Harald, Rachel, Reinhard and Stetter, Karl Otto (1992) Thiobacillus plumbophilus spec. nov., a novel galena and hydrogen oxidizer. Archives of Mikrobiology = Arch. Microbiol. 157 (3), pp. 213-217. Fulltext not available. Droste, C. and Greenlee, Mark W. (1992) Comments on Padawer and Levine, PAIN, 48 (1992) 132–135. Pain 50 (2), p. 241. Duijzings, Ger (1992) De Egyptenaren in Kosovo en Macedonië. Amsterdams Sociologisch Tijdschrift 18 (4), pp. 24-38. Fulltext restricted. Dummer, Reinhard, Posseckert, Gerhard, Nestle, Frank, Witzgall, Ralph, Burger, Mathias, Becker, Jürgen C., Schäfer, Erwin, Wiede, Johannes, Sebald, Walter and Burg, Günter (1992) Soluble Interleukin-2 Receptors Inhibit Interleukin 2-Dependent Proliferation and Cytotoxicity: Explanation for Diminished Natural Killer Cell Activity in Cutaneous T-Cell Lymphomas In Vivo? Journal of Investigative Dermatology 98 (1), pp. 50-54. Dummer, Reinhard, Röger, Jürgen, Vogt, Thomas, Becker, Jürgen, Hefner, Hiltrud, Sindermann, Herbert and Burg, Günter (1992) Topical application of hexadecylphosphocholine in patients with cutaneous lymphomas. Progress in experimental tumor research. Fortschritte der experimentellen Tumorforschung. Progrès de la recherche expérimentale des tumeurs 34, pp. 160-169. Eckardt, K. U., LeHir, M., Tan, C C., Ratcliffe, P. J., Kaissling, B. and Kurtz, Armin (1992) Renal innervation plays no role in oxygen-dependent control of erythropoietin mRNA levels. The American journal of physiology. Renal physiology 263 (5 Pt 2), F925-F930. Eckardt, Kai-Uwe and Kurtz, Armin (1992) The biological role, site, and regulation of erythropoietin production. Advances in nephrology from the Necker Hospital 21, pp. 203-233. Fulltext not available. Eckardt, Kai-Uwe, Ratcliffe, P. J., Tan, C. C., Bauer, Christian and Kurtz, Armin (1992) Age-dependent expression of the erythropoietin gene in rat liver and kidneys. The Journal of clinical investigation 89 (3), pp. 753-760. Eizinger, P., Schoepe, Wilfried, Gloos, K., Simola, J. T. and Tuoriniemi, J. T. (1992) Vibrations of a magnetic microsphere levitated above a superconductor: a high-Q oscillator for studies of vorticity in superconductors and superfluids. Physica B: Condensed Matter 178 (1-4), pp. 340-346. Engelmann, B., Schumacher, U. and Haen, Ekkehard (1992) Epidermal growth factor binding sites on human erythrocytes in donors with different ABO blood groups. American journal of hematology 39 (4), pp. 239-241. Erley, C. M., Harrer, U., Krämer, Bernhard K. and Risler, T. (1992) Renal hemodynamics and reduction of proteinuria by a vasodilating beta blocker versus an ACE inhibitor. Kidney international 41 (5), pp. 1297-1303. Erley, C. M., Holzer, M., Krämer, Bernhard K. and Risler, T. (1992) Renal haemodynamics and organ damage in young hypertensive patients with different plasma renin activities after ACE inhibition. Nephrology, dialysis, transplantation 7 (3), pp. 216-220. Ernst, Gerhard (1992) Rezension: Peter Rickard, The French Language in the seventeenth Century. Contemporary Opinion in France. Cambridge (Brewer) 1992. Romanische Forschungen = RF 104, pp. 413-416. Fulltext not available. Fischer, M. and Bresinsky, Andreas (1992) "Phellinus torulosus": Sexuality and evidence of intersterility groups. Mycologia 84, pp. 823-833. Fulltext not available. Franke, Rainer and Buschauer, Armin (1992) Quantitative structure-activity relationships in histamine H_2-agonists related to impromidine and arpromidine. European Journal of Medicinal Chemistry 27, pp. 443-448. Fulltext not available. Franz, Gerhard (1992) Immunmodulation durch Echinacea purpurea und Viscum album. Erfahrungsheilkunde 6, pp. 401-406. Fulltext not available. Franz, Gerhard (1992) Pflanzliche Laxantien. Deutsche Apotheker-Zeitung : DAZ 132, pp. 1697-1704. Fulltext not available. Fritsch, R., Hartmann, E., Andert, D. and Mannschreck, Albrecht (1992) Helical Phenanthrenes 3: Syntheses, Enrichment of Enantiomers, and Barriers to Racemization of Twisted 9, 10-Phenanthrenequinones. Chemische Berichte 125 (4), pp. 849-855. Fulltext not available. Furthner, J. and Penzkofer, Alfons (1992) Emission Spectra and Cross-Section Spectra of Neodymium Laser Glasses. Opt. Quantum Electron. 24, pp. 591-601. Ganichev, Sergey, Gloukh, K., Kotel'nikov, I., Mordovets, N., Shul'man, A. and Yaroshetskii, I. (1992) Tunneling in Schottky-barrier metal-semiconductor junctions during plasma reflection of laser light. Soviet physics JETP 75 (3), pp. 495-504. Ganter, S., Northoff, H., Männel, Daniela N. and Gebicke-Härter, P. J. (1992) Growth control of cultured microglia. Journal of neuroscience research 33 (2), pp. 218-230. Gerson, Fabian, König, Burkhard, Scholz, Michael and Meijere, Armin de (1992) Paramagnetic Redox Stages of a Bisphane: An ESR and ENDOR Study. Helvetica Chimica Acta 75 (7), pp. 2307-2316. Gloos, K., Schoepe, Wilfried, Simola, J. T. and Tuoriniemi, J. T. (1992) Microsphere viscometers for low temperature applications. Cryogenics 32 (9), pp. 791-798. Fulltext not available. Gläsner, W., Merkl, Rainer, Schmidt, Sebastian, Cech, D. and Fritz, Hans Joachim (1992) Fast quantitative assay of sequence-specific endonuclease activity based on DNA sequencer technology. Biological chemistry Hoppe-Seyler 373 (12), pp. 1223-1225. Fulltext not available. Gohl, H. P., Hausner, W. and Thomm, Michael (1992) Cell-free transcription of the nifHl gene of Methanococcus thermolithotrophicus indicates that promoters of archaeal nif genes share basic features with the methanogen consensus promoter. Molecular and general genetics = MGG = Mol. Gen. Genet. 231, pp. 286-295. Gomaa, K., Kraus, J., Roßkopf, F., Röper, H. and Franz, Gerhard (1992) Antitumor and Immunological Activity of a ß-(1.3/1.6) Glucan from Glomerella cingulata. Journal of cancer research and clinical oncology 118 (2), pp. 136-140. Fulltext not available. Discriminate between Waveforms of Electric Pulse Discharges. Ethology 90, pp. 279-292. Greenlee, Mark W. (1992) Spatial Frequency Discrimination of Band-limited Periodic Targets: Effects of Stimulus Contrast, Bandwidth and Retinal Eccentricity. Vision Research 32 (2), pp. 275-283. Greenlee, Mark W. and Thomas, J. P. (1992) Effect of pattern adaptation on spatial frequency discrimination. Journal of the Optical Society of America A: Optics, Image Science & Vision (JOSA A) 9 (6), pp. 857-862. Fulltext not available. Greve, H., Kasprzak, Piotr M. and Raithel, D. (1992) Surgical-treatment of aneurysms of the descending thoracic and of the abdominal-aorta - follow-up and results. Die Medizinische Welt 43 (6), pp. 501-509. Fulltext not available. Grimm, Daniela, Hofstädter, Ferdinand, Bauer, Johann, Spruss, Thilo, Steinbach, Pia, Bernhardt, Günther and Menze, Rita (1992) Establishment and characterization of a human papillary thyroid carcinoma cell line with oxyphilic differentiation (ONCO-DG 1). Virchows Archiv. B, Cell pathology including molecular pathology 62 (2), pp. 97-104. Gross, V., Andreesen, Reinhard, Leser, H. G., Ceska, M., Liehl, E., Lausen, M., Farthmann, E. H. and Schölmerich, J. (1992) Interleukin-8 and neutrophil activation in acute pancreatitis. European journal of clinical investigation 22 (3), pp. 200-3. Fulltext not available. Grziwotz, Herbert (1992) Die Liquidation von Kapitalgesellschaften, Genossenschaften und Vereinen. Deutsches Steuerrecht = DStR, pp. 1404-1408. Fulltext not available. Grziwotz, Herbert (1992) Die Liquidation von Personengesellschaften. Deutsches Steuerrecht = DStR (39), pp. 1365-1369. Fulltext not available. Grziwotz, Herbert (1992) Fälligkeit und Verzinsung des Kaufpreises bei Ausübung eines Vorkaufsrechts. Mitteilungen des Bayerischen Notarvereins, der Notarkasse und der Landesnotarkammer Bayern = MittBayNot, pp. 173-177. Fulltext not available. Grziwotz, Herbert (1992) Rezension: Brambring, Der Ehevertrag, 1991. Mitteilungen des Bayerischen Notarvereins, der Notarkasse und der Landesnotarkammer Bayern = MittBayNot, p. 119. Fulltext not available. Grziwotz, Herbert (1992) Rezension: Brüggemann, Beurkundungen zum Kindschaftsrecht, 3. Aufl. 1991. Zeitschrift für das gesamte Familienrecht = FamRZ, p. 1022. Fulltext not available. Grziwotz, Herbert (1992) Rezension: M. Jachmann, Vereinbarungen über Erschließungsbeiträge im Rahmen von Grundstücksverträgen mit Gemeinden, Diss. Regensburg 1991. Mitteilungen des Bayerischen Notarvereins, der Notarkasse und der Landesnotarkammer Bayern = MittBayNot, p. 187. Fulltext not available. Grziwotz, Herbert (1992) Rezension: Winfried Döbertin, Ohne Religion kann man nicht leben, 1990. Anzeiger für die Seelsorge (9), pp. 436-438. Fulltext not available. Grziwotz, Herbert (1992) Sonderfälle der Liquidation von Gesellschaften. Deutsches Steuerrecht = DStR, pp. 1813-1815. Fulltext not available. Göpferich, Achim and Lee, Geoffrey (1992) A Note on the Trandermal Delivery of Clenbuterol. Drug Development and Industrial Pharmacy 18 (10), pp. 1137-1145. Göpferich, Achim and Lee, Geoffrey (1992) Determining the solubility and crystal form of clenbuterol in thin films of eudragit NE30D. Drug Development and Industrial Pharmacy 18 (3), pp. 319-331. Göpferich, Achim and Lee, Geoffrey (1992) The influence of endogenous surfactant on the structure and drug-release properties of Eudragit NE30D-matrixes. Journal of Controlled Release 18 (2), pp. 133-144. Haen, Ekkehard, Bleise, Ute and Przybilla, W. (1992) Impairment of the beta-adrenergic system of peripheral-blood leukocytes in atopic patients with seasonal allergic rhinoconjunctivitis. International Archives of Allergy and Immunology 99 (2-4), pp. 435-438. Haferkamp, G., Hacki, Tamas, Hofmann, R. and Kenklies, M. (1992) Aphonie bei multipler Sklerose = Aphonia Multiple Sclerosis. Aktuelle Neurologie 19 (4), pp. 109-110. Haller, Axel (1992) Das Maßgeblichkeitsprinzip und seine Effekte. 1. Teil. Wirtschaftsstudium: wisu 21, pp. 46-49. Fulltext not available. Haller, Axel (1992) Das Maßgeblichkeitsprinzip und seine Effekte. 2. Teil. Wirtschaftsstudium: wisu 21, pp. 112-116. Fulltext not available. Haller, Axel (1992) Der Grundsatz der Maßgeblichkeit der Handels- für die Steuerbilanz – Ein wesentlicher Grund für die mangelnde Harmonisierung der Jahresabschlußerstellung in Europa. Recht der Internationalen Wirtschaft: RIW 38, pp. 43-48. Fulltext not available. Haller, Axel (1992) The Relationship of Financial and Tax Accounting in Germany: A Major Reason for Disharmony in Europe. The International Journal of Accounting: TIJA 27, pp. 310-323. Fulltext not available. Haller, Axel and Kardasz, A. (1992) Wesentliche Unterschiede der Jahresabschlußerstellung zwischen den USA und Deutschland. Rachunkowosc 43 (7), pp. 197-200. Fulltext not available. Haller, Axel and Wilkens, Caroline (1992) Bewertung vereinfachen, Steuern sparen! Dynamik im Handel 36 (7), pp. 33-36. Fulltext not available. Harwix, S., Andreesen, Reinhard, Ferber, E. and Schwamberger, G. (1992) Human macrophages secrete a tumoricidal activity distinct from tumour necrosis factor-alpha and reactive nitrogen intermediates. Research in immunology 143 (1), pp. 89-94. Fulltext not available. Hasanean, H. A., Shanawany, M.A.E., Bishay, D. W. and Franz, Gerhard (1992) New Triterpenoid Glycosides from Taverniera Aegyptiaca Boiss. Die Pharmazie 47, pp. 143-147. Fulltext not available. Haseanean, H. A., El-Shanawany, M. A., Bishay, D. W. and Franz, Gerhard (1992) New Triterpenoid Glycosides from Zygophyllum album L. Pharmaceutical and pharmacological letters 1, pp. 115-117. Fulltext not available. Heilberger, P., Kasprzak, Piotr M. and Raithel, D. (1992) Sponaneous dissection of the common carotid-artery. Chirurg : Zeitschrift für alle Gebiete der operativen Medizin 63 (8), pp. 675-678. Fulltext not available. Heine, Klaus (1992) On the ages of humid Late Quaternary phases in southern African arid areas (Namibia, Botswana). Palaeoecology of Africa and the surrounding islands 23, pp. 149-164. Hofmann, Hubert, Stiksrud, Arne and Schmatz, Stephan (1992) Defizite erfolgreicher Studenten? Studienorientierungen erfolgloser und erfolgreicher Pschologiestudenten. Psychologie in Erziehung und Unterricht 39 (3), pp. 214-220. Homeier, H. H. H. (1992) A Levin-type algorithm for accelerating the convergence of Fourier Series. Numerical algorithms 3, pp. 245-254. Fulltext not available. Homeier, H. H. H. and Steinborn, E. O. (1992) Improved Quadrature Methods for the Fourier Transform of a Two-Center Product of Exponential-Type Basis Functions. International Journal of Quantum Chemistry 41, pp. 399-411. Fulltext not available. Homeier, H. H. H. and Steinborn, E. O. (1992) On the Evaluation of Overlap Integrals with Exponential-type Basis Functions. International Journal of Quantum Chemistry 42, pp. 761-778. Fulltext not available. Homeier, H. H. H., Weniger, E. J. and Steinborn, E. O. (1992) Programs for the Evaluation of Overlap Integrals with B Functions. Computer Physics Communications 72, pp. 269-287. Fulltext not available. Homeier, H. H. H., Weniger, E. J. and Steinborn, E. O. (1992) Simplified Derivation of a One-range Addition Theorem of the Yukawa Potential. International Journal of Quantum Chemistry 44, pp. 405-411. Fulltext not available. a Metabolic Property so far Unknown for this Domain. Systematic and Applied Microbiology 15, pp. 502-504. Huber, Gertrud, Huber, Robert, Jones, B.E., Lauerer, G., Neuner, A., Segerer, A., Stetter, Karl Otto and Degens, E. T. (1992) Hyperthermophilic Archae- and Eubacteria occurring within Indonesian Hydrothermal Areas. Mitteilungen aus dem Geologisch-Paläontologischen Institut der Universität Hamburg 70, pp. 161-172. Huber, R., Wilharm, T., Huber, D., Trincone, A., Burggraf, S., König, H., Rachel, Reinhard, Rockinger, I., Fricke, H. and Stetter, Karl Otto (1992) Aquifex pyrophilus gen. nov. spec. nov., represents a novel group of marine hyperthermophilic hydrogen-oxidizing bacteria. Systematic and Applied Microbiology 15, pp. 340-351. Fulltext not available. Ittel, T. H., Gruber, E., Heinrichs, A., Handt, S., Hofstädter, Ferdinand and Sieberth, H.G. (1992) Effect of fluoride on aluminum-induced bone disease in rats with renal failure. Kidney international 41 (5), pp. 1340-1348. Fulltext not available. Ittel, T. H., Paulus, C. P., Handt, S., Hofstädter, Ferdinand and Sieberth, H. G. (1992) Induction of intestinal mucosal atrophy by difluoromethylornithine: a nonuremic model of enhanced aluminum absorption. Mineral and electrolyte metabolism 18 (1), pp. 15-23. Fulltext not available. Jannsen, Uwe (1992) Motives, numerical equivalence, and semi-simplicity. Inventiones Mathematicae : Invent. Math. 107 (3), pp. 447-452. Jerger, Jürgen (1992) Das St. Petersburg-Paradoxon. WiSt - Wirtschaftswissenschaftliches Studium (8), pp. 407-410. Jerger, Jürgen (1992) Lohnlücke, Kapitalbindung und Arbeitslosigkeit. Erwiderung auf einen Diskussionsbeitrag von J. Janssen. Jahrbücher für Nationalökonomie und Statistik 210 (1-2), pp. 163-167. Jerger, Jürgen and Piazolo, Marc (1992) Bestimmungsfaktoren des Wirtschaftswachstums in erfolgreichen Entwicklungsländern: Eine Fallstudie für Südkorea. ifo Studien 38 (1), pp. 1-26. Jerger, Jürgen and Piazolo, Marc (1992) Südkorea als Musterbeispiel einer sich entwickelnden Volkswirtschaft: "Zufall oder gute Wirtschaftspolitik". ASIEN 43, pp. 38-54. Jungnitsch, Georg (1992) Psychologische Maßnahmen in der Behandlung von Personen mit rheumatischen Erkrankungen. Psychomed 4, pp. 163-173. Fulltext not available. Jungnitsch, Georg and Köhler, H. (1992) Entspannungstherapie bei Schmerz. Praxis der Klinischen Verhaltensmedizin und Rehabilitation 5 (20), pp. 294-300. Fulltext not available. Kager, M., Spruss, T., Schneider, M. R. and Angerer, E. von (1992) Dunning R3327-G prostate carcinoma of the rat: an appropriate model for drug evaluation. Journal of cancer research and clinical oncology 118 (5), pp. 334-338. Fulltext not available. Kalbitzer, Hans Robert (1992) Max-Planck-Scientist offers European Perspective on Protein NMR Databases: State-of-the-Art and Future Directions in Europe. Chemical design automation news 7, p. 16. Fulltext not available. Kalbitzer, Hans Robert, Rohr, G., Nowak, E., Goody, R. S., Kuhn, W. and Zimmermann, H. (1992) A new high sensitivity ¹⁹F probe for labeling cysteine groups of proteins. NMR in biomedicine 5 (6), pp. 347-350. Fulltext not available. Kalbitzer, Hans Robert, Schrumpf, M. and Wray, J. (1992) High protein mobility in skinned rabbit muscle fibres observed by ¹H NMR spectroscopy. FEBS letters 298 (2-3), pp. 226-228. Fulltext not available. Kamigauchi, M., Noda, Y., Iwasa, K., Takao, N. and Wiegrebe, Wolfgang (1992) Chiroptical Properties of (+)-Corycavine and Corycavamine. Archiv der Pharmazie 325, pp. 585-588. Kasprzak, Piotr M. and Raithel, D. (1992) Eversion endarterectomy of the internal carotid-artery. Vasa : european journal of vascular medicine Supplement, pp. 83-84. Fulltext not available. Klein-Tebbe, Jörg, Buschauer, Armin, Friese, Andrea, Schunack, Walter and Kunkel, G. (1992) Modulation of IgE-mediated histamine release from human leukocytes by a new class of histamine H_2-agonists. Agents Actions 35, pp. 185-191. Fulltext not available. Klitzing, Klaus von, Nieder, J., Haug, R., Müller, G., Koch, S., Weiss, Dieter and Ploog, K. (1992) Influence of Ohmic Contacts on the Amplitude of Shubnikow-de Haas Oscillations. Semiconductor Science and Technology 7, pp. 82-85. Knorr, R., Ferchland, K., Mehlstäubl, J., Thi, Phung Hoang, Böhrer, P., Lüdemann, H.-D. and Lang, Elmar (1992) Synthesen und erhöhte Konfigurationslabilität von 2-Iminoindanderivaten mit Vorderseitenspannung. Chemische Berichte 125 (9), pp. 2041-2049.
with the ribosomal RNA Operon in the hyperthermophilic archaeon Methanothermus fervidus. FEMS Microbiology Letters 98, pp. 95-102. Kraus, J., Blaschek, W., Schütz, M. and Franz, Gerhard (1992) Antitumor Activity of Cell Wall β-1,3/1,6-Glucans from Phytophthora Species. Planta Medica 58, pp. 39-45. Fulltext not available. Krause, S. W., Kreutz, Marina, Zenke, G. and Andreesen, Reinhard (1992) Developmental regulation of granulocyte-macrophage colony-stimulating factor production during human monocyte-to-macrophage maturation. Annals of hematology 64 (4), pp. 190-195. Kreutz, Marina, Krause, S. W., Hennemann, B., Rehm, A. and Andreesen, Reinhard (1992) Macrophage heterogeneity and differentiation: defined serum-free culture conditions induce different types of macrophages in vitro. Research in immunology 143 (1), pp. 107-115. Krämer, Bernhard K., Nishida, M., Kelly, R. A. and Smith, T. W. (1992) Endothelins. Myocardial actions of a new class of cytokines. Circulation 85 (1), pp. 350-356. Krämer, Bernhard K., Pickert, A., Hohmann, C., Liebich, H. M., Müller, G. A., Hablitzel, M. and Risler, T. (1992) In vivo clearance and elimination of nine marker substances during hemofiltration with different membranes. The International journal of artificial organs 15 (7), pp. 408-412. Krämer, Bernhard K., Ress, K. M., Erley, C. M. and Risler, T. (1992) Pharmacokinetic and blood pressure effects of carvedilol in patients with chronic renal failure. European journal of clinical pharmacology 43 (1), pp. 85-88. Krämer, Bernhard K. and Risler, T. (1992) Sport und Niere. Der Internist 33 (3), pp. 150-153. Kunkely, Horst and Vogler, Arnd (1992) Phase Transfer Photolysis of Metal Hexacarbonyls. Organometallics 11 (10), pp. 3172-3174. Kunkely, Horst and Vogler, Arnd (1992) Photoluminescence of Tricyanomethanide. Zeitschrift für Physikalische Chemie 176, pp. 117-119. Kunkely, Horst and Vogler, Arnd (1992) Photolysis of Fe(CO)₄²⁻ in Aqueous NaOH Glasses at 77 K. Formation of Solvated Electrons. Journal of Organometallic Chemistry 431 (3), C42-C44. Kunz, Werner, Calmettes, P., Jannink, G., Belloni, L., Cartailler, T. and Turq, P. (1992) The charge structure factor of a 1-1 electrolyte in solution. Journal of Chemical Physics 96 (9), pp. 7034-7028. Fulltext not available. Kunz, Werner, Turq, P., Calmettes, P., Barthel, Josef and Klein, L. (1992) Tetrapentylammonium bromide in 2-propanol: vapor pressure and small-angle neutron scattering measurements. Journal of Physical Chemistry 96 (6), pp. 2743-2749. Fulltext not available. Kurtz, Armin, Eckardt, K. U., Pugh, C., Corvol, P., Fabbro, D. and Ratcliffe, P. (1992) Phorbol ester inhibits erythropoietin production in human hepatoma cells (Hep G2). The American journal of physiology. Cell physiology 262 (5 Pt 1), C1204-C1 210. Kutschera, Franz (1992) Supervenience and reductionism. Erkenntnis: an international journal of analytic philosophy 36, pp. 333-343. Kutschera, Franz and Corradini, Antonella (1992) Metodi formali nelle indagini filosofiche. Epistemologia 15, pp. 77-94. Fulltext not available. König, Burkhard and Meijere, Armin de (1992) Synthesis and Diels-Alder Reactions of 1,2-Dimethylene- and 1,2,9,10-Tetramethylene-[2.2]paracyclophane: New Routes to Bridge-Anellated[2.2]Paracyclophanedienes. Chemische Berichte 125 (8), pp. 1895-1898. Laux, Bernhard (1992) Bereichsrezension Religion und Kirche. Soziologische Revue : Besprechungen neuer Literatur 15 (3), pp. 304-306. Fulltext not available. Laux, Bernhard (1992) Familie in unfamiliärer Gesellschaft. Caritas 93 (7/8), pp. 357-366. Le-Ruppert, K., Masters, J. R., Knuechel, R., Seegers, S., Tainsky, M. A., Hofstaedter, Ferdinand and Buettner, R. (1992) The effect of retinoic acid on chemosensitivity of PA-1 human teratocarcinoma cells and its modulation by an activated N-ras oncogene. International Journal of Cancer 51 (4), pp. 646-651. Fulltext not available. Leinsle, Ulrich G. (1992) Von der Lebenswelt zur Welt. Konstruktive Aspekte menschlicher Weltorientierung. Zeitschrift für katholische Theologie (114), pp. 127-139. Fulltext not available. Lengfellner, Hans, Kremb, G., Schnellbögl, A., Betz, J., Renk, Karl Friedrich and Prettl, Wilhelm (1992) Giant voltages upon surface heating in normal YBa2Cu3O7−δ films suggesting an atomic layer thermopile. Applied Physics Letters 60 (4), pp. 501-503. Lukesch, Helmut (1992) Aktuelle Videokonsumgewohnheiten bei Kindern und Jugendlichen in den fünf neuen Bundesländern. BPjS-Kurz-Info: amtliches Mitteilungsblatt/Bundesprüfstelle für Jugendgefährdende Schriften 1, pp. 3-5. Lukesch, Helmut (1992) TV learning: Incidental or a systematic process? TV watching and political awareness amongst children and young people in East and West Germany. Communications (17), pp. 205-214. Lukesch, Helmut (1992) Verbreitung und Sehgewohnheiten von Horror- und Gewaltvideos in Zahlen. Pädagogik <Weinheim> 44, pp. 33-35. Lutz, H.D., Kuske, P., Pfitzner, Arno and Steiner, H.-J. (1992) Kristallstruktur und Schwingungsspektren von Li₅CrCl₈. Zeitschrift für Naturforschung B (47), pp. 1687-1692. Fulltext not available. Lutz, H.D., Pfitzner, Arno and Solinas, I. (1992) Ionic conductivity of the heterogeneous system (1-x)Li₂MIICl₄-xAl₂O₃ (MII = Mg, Mn, Cd). Solid State Ionics (52), pp. 353-356. Fulltext not available. Magnussen, S. and Greenlee, Mark W. (1992) Retention and disruption of motion information in visual short-term memory. Journal of Experimental Psychology: Learning, Memory, and Cognition 18 (1), pp. 151-156. Fulltext not available. Mahboobi, Siavosh, Seidl, E., Eibler, E. and Wiegrebe, Wolfgang (1992) Removal of the Pyrrolidine Group by Dehydrogenation of a 4-Pyrrolidin-2-yl-tetrahydroisoquinoline. Archiv der Pharmazie 325, pp. 679-683. Mannschreck, Albrecht (1992) Chiroptical Detection During Liquid Chromatography 4: Applications to Stereoanalysis and stereodynamics. Chirality 4 (3), pp. 163-169. Fulltext not available. Manssen, Gerrit (1992) Buchbesprechung von:Klaus Vieweg, Normsetzung- und Anwendung deutscher und internationaler Verbände, Eine rechtstatstatsächliche und rechtliche Untersuchung unter besonderer Berücksichtigung der Sportverbände. Sportwissenschaft 22, pp. 120-124. Manssen, Gerrit (1992) Der Hamburger Stadtsiegelfall - VG Köln, NJW 1991, 2584. Juristische Schulung: JuS 23, pp. 745-748. Manssen, Gerrit (1992) Die Neufassung des § 51 Abs. 2 SGG und die Zuständigkeit der ordentlichen Gerichte für Wettbewerbsfragen. Die Sozialgerichtsbarkeit: SGb 39, pp. 339-342. Manssen, Gerrit (1992) Ortsbildschutz im unbeplanten Innenbereich. Nordrhein-Westfälische Verwaltungsblätter: NWVBL 6, pp. 381-384. Manssen, Gerrit (1992) Öffentliches Recht: Der Spezialist für Rundbauten. Juristische Schulung: JuS 32, L 60-L 63. Manssen, Gerrit (1992) Öffentlichrechtlich geschützte Interessen bei der Anfechtung von Verkehrszeichen. Neue Zeitschrift für Verkehrsrecht: NZV 5 (12), pp. 465-471. Martin, R., Schwuléra, U., Menke, G., Rudolph, W., Buch, K., Fasold, H., Lissner, R., Thrun, A., Krauseneck, P. and Bogdahn, U. (1992) Interleukin-2 and blood brain barrier in cats: pharmacokinetics and tolerance following intrathecal and intravenous administration. European cytokine network 3 (4), pp. 399-406. Fulltext not available. Meijere, Armin de and König, Burkhard (1992) Diels-Alder Reactions of [2.2]Paracyclophane-1-ene and [2.2]Paracyclophane-1,9-diene with 3,6-Disubstituted 1,2,4,5-Tetrazines. Helvetica Chimica Acta 75 (3), pp. 901-906. Meixner, Uwe (1992) An Alternative Semantics for Modal Predicate-Logic. Erkenntnisse 37, pp. 377-400. Meixner, Uwe (1992) Der ontologische Gottesbeweis in der Perspektive der analytischen Philosophie. Zeitschrift für Theologie und Philosophie 67, pp. 246-262. Meixner, Uwe (1992) Eine logische Rekonstruktion der platonischen Prädikationstheorie. Grazer Philosophische Studien 43, pp. 163-175. Merkl, Rainer, Kröger, Manfred, Rice, Peter and Fritz, Hans Joachim (1992) Statistical evaluation and biological interpretation of non-random abundance in the E. coli K-12 genome of tetra- and pentanucleotide sequences related to VSP DNA mismatch repair. Nucleic Acids Research 20 (7), pp. 1657-1662. Meyer-Scharenberg, Dirk (1992) Wirtschaftliches Eigentum bei Grundstücken auf fremdem Grund und Boden, Anmerkung zum BFH-Urt. vom 21.5.1992, X R 61/91. Steuerrechtsprechung in Karteiform: StRK; Loseblatt-Ausgabe, Anm. 369. Meyer-Scharenberg, Dirk (1992) Zur Frage der Gewinnrealisierung beim Übergang stiller Reserven infolge einer Kapitalerhöhung, Telefonkommentar zum BFH-Urt. vom 8.4.1992, I R 128/88; I R 160/90; I R 162/90; vom 4.12.1991, I R 163/90. Deutsches Steuerrecht. Fulltext not available. Meyer-Scharenberg, Dirk (1992) Änderung der Rechtsprechung zur Berücksichtigungsfähigkeit von Gewerbeverlusten nach dem Ein- und Austritt von Personengesellschaftern? - Anmerkung zum Vorlagebeschluß VIII R 4/88 vom 12.11.1991 -. Deutsches Steuerrecht 32 (25/26), pp. 855-856. Meyer-Scharenberg, Dirk and Fleischmann, Gunnar (1992) Die steuerlichen Gefahren bei der Altbausanierung im Beitrittsgebiet. Deutsches Steuerrecht (47), p. 1645. Meyer-Scharenberg, Dirk and Fleischmann, Gunnar (1992) Neue gesetzliche Rahmenbedingungen für den Einsatz von Lebensversicherungen bei Finanzierungen. Deutsches Steuerrecht 32 (10), pp. 309-313. Meyer-Scharenberg, Dirk and Fleischmann, Hans Gunnar (1992) Grunderwerbsteuer beim Fertig- und Reihenhausbau. Deutsches Steuerrecht 32 (16), pp. 525-528. Meyer-Scharenberg, Dirk and Fleischmann, Hans Gunnar (1992) Vermittlungsprovisionen bei Immobilienfonds: Neue Verwirrungen durch den BFH-Beschluß vom 4.2.1992. Deutsches Steuerrecht 32 (28), pp. 939-941. Meyer-Scharenberg, Dirk and Fleischmann, Hans Gunnar (1992) Vorsicht mit Lebensversicherungen bei der Finanzierung. Die Steuerberatung 35 (9), pp. 409-410. Meyer-Scharenberg, Dirk and Fleischmann, Hans Gunnar (1992) Zweifelsfragen zum Steueränderungsgesetz 1992. Neue Wirtschafts-Briefe 16 (Blickp), pp. 1171-1176. Michel, Martin C. and Buschauer, Armin (1992) Neuropeptide Y and its antagonists. Drugs Fut. 17, pp. 39-45. Fulltext not available. Michiwaki, Y., Schmelzeisen, R., Hacki, Tamas and Michi, K. (1992) Articulatory function in glossectomized patients with immediate reconstruction using a free jejunum flap. Journal of cranio-maxillo-facial surgery : official publication of the European Association for Cranio-Maxillo-Facial Surgery 20 (5), pp. 203-10. Müller, B. M. and Franz, Gerhard (1992) Chemical structure and biological activity of polysaccharides from Hibiscus sabdariffa. Planta medica 58 (1), pp. 60-67. Fulltext not available. Müller, G., Diessel, E., Weiss, Dieter, Klitzing, Klaus von, Ploog, K., Nickel, H., Schlapp, W. and Lösch, R. (1992) Influence of Interedge Channel Scattering on the Magneto-Transport of 2D-Systems. Surface Science 263, pp. 280-283. Müller, G., Weiss, Dieter, Khaetskii, A. V., Klitzing, Klaus von, Koch, S., Nickel, H., Schlapp, W. and Lösch, R. (1992) Equilibration Length of Electrons in Spin Polarized Edge Channels. Physical Review B 45 (7), pp. 3932-3935. Müller, G., Weiss, Dieter, Klitzing, Klaus von, Ploog, K., Nickel, H., Schlapp, W. and Lösch, R. (1992) Confinement-Potential Tuning: From Nonlocal to Local Transport. Physical Review B 46, pp. 4336-4339. Müller, Richard, Bednarski, Patrick J. and Schönenberger, Helmut (1992) (1,2-Diaryl-1,2-ethylenediamine)platinum(II) complexes with sulfato and 3-sulfopropionato leaving groups: investigations with different types of coordination in the solid state, in solution and reactions with nucleophiles. Inorganica chimica acta 195 (1), pp. 77-87. Fulltext not available. Müller-Quernheim, J., Pfeifer, S., Männel, Daniela N., Strausz, J. and Ferlinz, R. (1992) Lung-restricted activation of the alveolar macrophage/monocyte system in pulmonary sarcoidosis. The American review of respiratory diseases 145 (1), pp. 187-192. Neumann-Holzschuh, Ingrid (1992) Rezension: Gabriele Berkenbusch (ed. ), Klassiker der spanischen Sprachwissenschaft. Eine Einführung in die Sprachwissenschaft des 16. und 17. Jahrhunderts. Quellentexte, Kommentare, Bibliographie, Bonn 1990. Zeitschrift für Zeitschrift für romanische Philologie: Zrp 108, pp. 657-660. Fulltext not available. Neumann-Holzschuh, Ingrid (1992) Rezension: Patrice Brasseur/Jean-Paul Chauveau, Dictionnaire des régionalismes de Saint-Pierre et Miquelon, Tübingen 1990. Zeitschrift der Gesellschaft für Kanada-Studien 22, pp. 163-165. Fulltext not available. Nikol, H., Becht, A. and Vogler, Arnd (1992) Photoluminescence of Germanium(II), Tin(II) and Lead(II) Chloride Complexes in Solution. Inorganic Chemistry 31 (15), pp. 3277-3279. Oehm, A., Behrmann, I., Falk, Werner, Pawlita, M., Maier, G., Klas, C., Li-Weber, M., Richards, S., Dhein, J. and Trauth, B. C. (1992) Purification and molecular cloning of the APO-1 cell surface antigen, a member of the tumor necrosis factor/nerve growth factor receptor superfamily. Sequence identity with the Fas antigen. The Journal of biological chemistry 267 (15), pp. 10709-10715. Otto, Angela M., Bednarski, Patrick J., Eggers, Hella, Truembach, Barbara and Schönenberger, Helmut (1992) [Meso-1,2-bis(2,6-dichloro-4-hydroxyphenyl)enthylenediamine] dichloroplatinum(II), an estrogenic platinum(II)-complex for the therapy of breast cancer: relationship between stability and effect. Pharmaceutical and pharmacological letters 1 (3), pp. 103-106. Fulltext not available. Penzkofer, Alfons, Beidoun, A. and Daiber, M. (1992) Intersystem-Crossing and Excited-State Absorption in Eosin Y Solutions Determined by Picosecond Double Pulse Transient Absorption Measurements. J. Luminescence 51, pp. 297-314. Penzkofer, Alfons, Wittmann, M., Bäumler, W. and Petrov, V. (1992) Theoretical Analysis of Contributions of Self-Phase Modulation and Group-Velocity Dispersion to Femtosecond Pulse Generation in Passive Mode-Locked Dye Lasers. Appl. Opt. 31 (33), pp. 7067-7082. Sets. Int. J. Quantum Chem. 44, pp. 45-57. Fulltext not available. Pichlmayr, R. and Schlitt, Hans-Jürgen (1992) Liver transplantation--an important clinical therapy and a unique opportunity for research. Behring Institute Mitteilungen (91), pp. 191-196. Fulltext not available. Polossek, T., Ambros, R., Angerer, S. von, Brandl, G., Mannschreck, A. and Angerer, E. von (1992) 6-Alkyl-12-formylindolo[2,1-a]isoquinolines. Syntheses, estrogen receptor binding affinities, and stereospecific cytostatic activity. Journal of Medicinal Chemistry 35 (19), pp. 3537-3547. Fulltext not available. Poschlod, Peter (1992) Prof. Karlhans Göttlich (1914-1991). Jahreshefte der Gesellschaft für Naturkunde in Württemberg 147, pp. 333-335. Poschlod, Peter and Jordan, S. (1992) Wiederbesiedlung eines aufgeforsteten Kalkmagerrasenstandorts nach Rodung. Zeitschrift für Ökologie und Naturschutz 22, pp. 119-139. Fulltext not available. Prettl, Wilhelm, Lengfellner, Hans, Kaminski, J. P., Schneider, G., Huggard, P. G., O'Brien, T. P. and Blau, W. (1992) Far infrared response of thin film Bi2Sr2CaCu2O8 using a free electron laser. International Journal of Infrared and Millimeter Waves 13 (10), pp. 1659-1666. Puig, T., Huggard, P. G., Schneider, G., O'Brien, T. P., Blau, W., Pont, M., Muñoz, J. S. and Prettl, Wilhelm (1992) Fast photoresponse from infrared-laser-induced flux motion in YBa2Cu3Ox films. Physical Review B (PRB) 46 (17), pp. 11240-11242. Radkowitsch, H. and Lang, Elmar (1992) Multinuclear spin-lattice relaxation time studies of undercooled aqueous potassium fluoride solutions under high pressure. Berichte der Bunsen-Gesellschaft: physical chemistry, chemical physics 96, pp. 162-170. Raikh, M. E., Czingon, J., Ye, Qiu-yi, Koch, F., Schoepe, Wilfried and Ploog, K. (1992) Mechanisms of magnetoresistance in variable-range-hopping transport for two-dimensional electron systems. Physical Review B (PRB) 45 (11), pp. 6015-6022. Raithel, D. and Kasprzak, Piotr M. (1992) Angioscopy after carotid endarterectomy. Annales chirurgiae et gynaecologiae 81 (2), pp. 192-195. Fulltext not available. Rechenauer, Georg (1992) Die Rolle Athens im Bodenparadoxon bei Thukydides I 2. Rheinisches Museum für Philologie 135, pp. 134-160. Reichle, A. and Andreesen, Reinhard (1992) Vorhersage des Tumoransprechens auf Chemotherapie: Diagnostische Möglichkeiten. Der Nuklearmediziner 15, pp. 73-80. Fulltext not available. Reile, Herta, Bernhardt, Günther, Koch, Marion, Schönenberger, Helmut, Hollstein, Michael and Lux, Franz (1992) Chemosensitivity of human MCF-7 breast cancer cells to diastereoisomeric diaqua(1,2-diphenylethylenediamine) platinum(II) sulfates and specific platinum accumulation. Cancer chemotherapy and pharmacology 30 (2), pp. 113-122. Richardi, Reinhard (1992) Arbeitsvertragsgesetz und Privatautonomie. Neue Zeitschrift für Arbeits- und Sozialrecht 9, pp. 769-777. Fulltext not available. Richardi, Reinhard (1992) Das Gleichbehandlungsgebot für Teilzeitarbeit und seine Auswirkung auf Entgeltregelungen. Neue Zeitschrift für Arbeits- und Sozialrecht 9, pp. 625-631. Fulltext not available. Richardi, Reinhard (1992) Der Beschluß des Bundesverfassungsgerichts zur Aussperrung und seine Folgen für das Arbeitskampfrecht. Juristenzeitung 47, pp. 27-33. Fulltext not available. Richardi, Reinhard (1992) Der Große Senat des BAG zur Mitbestimmung bei der Anrechnung einer Tariflohnerhöhung auf über- und außertarifliche Zulagen. Neue Zeitschrift für Arbeits- und Sozialrecht 9, pp. 961-967. Fulltext not available. Richardi, Reinhard (1992) Die Beteiligungsrechte des Personalrats. Arbeit und Arbeitsrecht 47, pp. 13-15. Fulltext not available. Richardi, Reinhard (1992) Die Betriebsvereinbarung als Rechtsquelle des Arbeitsverhältnisses – Zur Reichweite eines betriebsverfassungsrechtlichen Gestaltungsrechts in einer rechtsgeschäftlichen Ordnung des Arbeitslebens. Zeitschrift für Arbeitsrecht 23, pp. 307-330. Fulltext not available. Richter, Klaus, Wintgen, Dieter, Briggs, J. and Solov'ev, E. A. (1992) Novel dynamical symmetries of asymmetrically doubly excited two-electron-atoms. Journal of Physics B 25 (19), pp. 3929-3962. Riess, O, Noerremoelle, A, Collins, C, Mah, D, Weber, Bernhard H. F. and Hayden, M R (1992) Exclusion of DNA changes in the bold beta−subunit of the c−GMP phosphodiesterase gene as the cause for Huntington's disease. Nature Genetics 1, pp. 104-108. Fulltext not available. Riess, O, Noerremoelle, A, Weber, Bernhard H. F. , Musarella, M A and Hayden, M (1992) The search for mutations in the gene for the beta subunit of the cGMP phosphodiesterase (PDEB) in patients with autosomal recessive retinitis pigmentosa. The American Journal of Human Genetics 51 (4), pp. 755-762. Fulltext not available. Riess, O, Weber, Bernhard H. F. and Hayden, M R (1992) (CA)n-dinucleotide repeat polymorphism at the locus for the alpha2C adrenergic receptor (ADRA2C) on 4p16. Human Molecular Genetics 1 (6), p. 452. Fulltext not available. Riess, O, Weber, Bernhard H. F. , Noeremolle, A, Shaikh, R A, Hayden, M R and Musarella, M A (1992) Linkage studies and mutation analysis of the PDEB gene in 23 families with leber congenital amaurosis. Human Mutation 1 (6), pp. 478-485. Fulltext not available. Rohr, G., Eggert-Kruse, W., Pehlke, A., Sahrbacher, U., Runnebaum, B. and Kalbitzer, Hans Robert (1992) Biochemical analysis of cervical mucus by nuclear magnetic resonance spectroscopy. Human reproduction 7 (7), pp. 915-917. Fulltext not available. Rott, Hans (1992) Modellings for Belief Change: Base Contraction, Multiple Contraction, and Epistemic Entrenchment (Preliminary Report). Lecture notes in computer science : Lecture notes in artificial intelligence 633, pp. 139-153. Rott, Hans (1992) Modellings for Belief Change: Prioritization and Entrenchment. Theoria 58 (1), pp. 21-57. Rott, Hans (1992) Preferential Belief Change Using Generalized Epistemic Entrenchment. Journal of Logic, Language and Information 1 (1), pp. 45-78. Roßkopf, F., Kraus, J. and Franz, Gerhard (1992) Immunological and antitumor effects of coumarin and some derivatives. Die Pharmazie 47 (2), pp. 139-142. Fulltext not available. Sabin, F., Ryu, C.K., Ford, P.C. and Vogler, Arnd (1992) Photophysical Properties of Hexanuclear Copper(I) and Silver(I) Clusters. Inorganic Chemistry 31 (10), pp. 1941-1945. Sabin, F., Türk, T. and Vogler, Arnd (1992) Decontamination of Industral Wase Water by Photocatalytic Oxidation of Organic Components: A Model Study. Zeitschrift für Wasser- und Abwasser-Forschung 25, pp. 163-167. Sabin, F., Türk, T. and Vogler, Arnd (1992) Photo-oxidation of organic compounds in the presence of titanium dioxide: determination of efficiency. Journal of Photochemistry and Photobiology A Chemistry 63 (1), pp. 99-106. Sabin, F. and Vogler, Arnd (1992) Luminescence of Dimeric T1(I) Complexes: Metal-Metal Interaction in the Electronically Excited State. Monatshefte für Chemie / Chemical Monthly 123 (8-9), pp. 705-708. Sander, Chris, Vriend, Gerrit, Bazan, Fernando, Horovitz, Amnon, Nakamura, Haruki, Ribas, Luis, Finkelstein, Alexei V., Lockhart, Andrew, Merkl, Rainer, Perry, L. Jeanne, Emery, Stephen C., Gaboriaud, Christine, Marks, Cara, Moult, John, Verlinde, Christophe, Eberhard, Marc, Elofsson, Arne, Hubbard, Tim J. P., Regan, Lynne, Banks, Jay, Jappelli, Roberto, Lesk, Arthur M. and Tramontano, Anna (1992) Protein design on computers. Five new proteins: Shpilka, Grendel, Fingerclasp, Leather, and Aida. Proteins 12 (2), pp. 105-110. Fulltext not available. Scheer, Manfred, Dargatz, Manfred and Schenzel, Karla (1992) P4-Liganden mit maximaler Elektronendonorfähigkeit *1: II. [Fe(CO)4(μ-P2)2μ-Fe2(CO)62]—ein Komplex mit einer ungewöhnlich stabilisierten P4-Einheit. Journal of Organometallic Chemistry 435 (1-2), pp. 123-132. Fulltext restricted. Scheer, Manfred and Dragatz, Manfred (1992) P4-liganden mit maximaler Elektronendonorfähigkeit *1: III. Zum Reaktionsverhalten von Phosphankomplexen des Platins mit P4-phosphor. Journal of Organometallic Chemistry 440 (3), pp. 327-334. Fulltext restricted. Scheer, Manfred and Jones, Peter G. (1992) Die Kristallstruktur des Tris(dimethylthiophosphinyl)phosphans. Journal of Organometallic Chemistry 434 (1), pp. 56-61. Fulltext restricted. Scheer, Manfred, Troitzsch, Christa and Jones, Peter G. (1992) Die Bildung von cyclo-P4-Liganden mit maximaler Elektronendonorfähigkeit. Angewandte Chemie 104 (10), pp. 1395-1397. Fulltext restricted. Scheer, Manfred, Troitzsch, Christa and Jones, Peter G. (1992) The Formation of cyclo-P4 Ligands with Maximum Electron Donor Ability. Angewandte Chemie 31 (10), pp. 1377-1379. Fulltext restricted. Scheibenbogen, C., Keilholz, U., Richter, M., Andreesen, Reinhard and Hunstein, W. (1992) The interleukin-2 receptor in human monocytes and macrophages: regulation of expression and release of the alpha and beta chains (p55 and p75). Research in immunology 143 (1), pp. 33-7. Fulltext not available. Scheibenbogen, C., Moser, H., Krause, S. and Andreesen, Reinhard (1992) Interferon-gamma-induced expression of tissue factor activity during human monocyte to macrophage maturation. Haemostasis 22 (4), pp. 173-8. Fulltext not available. Schertl, Sabine, Gust, Ronald, Müller, Richard, Spruss, Thilo and Schönenberger, Helmut (1992) Stereoisomeric [1,2-bis(3-hydroxyphenyl)ethylenediamine]platinum(II) complexes. Part III. Evaluation of the mammary tumor inhibiting properties. Archiv der Pharmazie 325 (2), pp. 113-118. Fulltext not available. Schilz, A., Huber, L., Prettl, Wilhelm and Kaminski, J. (1992) Nonlinear far‐infrared photoacoustic magnetospectroscopy of n‐GaAs at low temperatures. Applied Physics Letters 60 (19), p. 2394. Schlehofer, J. R., Rentrop, M. and Männel, Daniela N. (1992) Parvoviruses are inefficient in inducing interferon-beta, tumor necrosis factor-alpha, or interleukin-6 in mammalian cells. Medical microbiology and immunology 181 (3), pp. 153-164. Schlitt, Hans-Jürgen, Kanehiro, H. and Pichlmayr, R. (1992) Nachweis von Spenderlymphozyten nach Lebertransplantation ohne klinische Zeichen einer Graft-versus-Host-Symptomatik oder Abstoßung. Langenbecks Archiv für Chirurgie/ Supplement, pp. 143-146. Fulltext not available. Schlitt, Hans-Jürgen, Nashan, Björn, Krick, P., Ringe, B., Wittekind, C., Wonigeit, K. and Pichlmayr, R. (1992) Intragraft immune events after human liver transplantation. Correlation with clinical signs of acute rejection and influence of immunosuppression. Transplantation 54 (2), pp. 273-278. Fulltext restricted. Schlitt, Hans-Jürgen, Ringe, B., Rodeck, B., Burdelski, M., Kuse, E. and Pichlmayr, R. (1992) Bone marrow dysfunction after liver transplantation for fulminant non-A, non-B hepatitis. High risk for young patients. Transplantation 54 (5), pp. 936-937. Fulltext restricted. Schlögel, Herbert (1992) Besprechung zu: Weber, Helmut: Allgemeine Moraltheologie: Ruf und Antwort. Graz: Verlag Styria, 1991. Pastoralblatt 44, pp. 156-157. Schlögel, Herbert (1992) Der erneute Streit um die Euthanasie - Theologisch-ethische Aspekte. Zeitschrift für katholische Theologie 114, pp. 425-439. Schlögel, Herbert (1992) Erneuerung des Bußsakramentes - auch ein Thema der Moraltheologie? Theologie der Gegenwart: ThG 35, pp. 163-172. Schlögel, Herbert (1992) Geloofsoverdracht en overdracht van waarden = Weitergabe des Glaubens - und die Weitergabe von Werten? Communio: internat. kath. tijdschrift 17 (1), pp. 53-66. Schlögel, Herbert (1992) Kirchenbilder in der Moraltheologie. Stimmen der Zeit 210 (2), pp. 109-114. Schlögel, Herbert (1992) Weitergabe des Glaubens — und die Weitergabe von Werten? Internationale katholische Zeitschrift Communio 21, pp. 47-59. Schlögel, Herbert (1992) »Die Wahrheit wird euch freimachen« (Joh 8,32): Ethische Stellungnahme zum Fallbericht. Arzt und Christ: Vierteljahresschr. für medizin.-eth. Grundsatzfragen 38, pp. 43-44. Schlögel, Herbert (1992) Ökumenisches in der evangelischen Ethik: eine Momentaufnahme. Catholica 46, pp. 253-272. Schmalhofer, Franz (1992) Construction and integration inferences in sentence verification. International Journal of Psychology 27, p. 66. Fulltext not available. Schmalhofer, Franz and Thoben, Jörg (1992) The model-based construction of a case-oriented expert system. AI communications: AICOM 5 (1), pp. 3-18. Schmelzeisen, R., Hausamen, J. E., Loebell, E. and Hacki, Tamas (1992) Long-term results following velopharyngoplasty with a cranially based pharyngeal flap. Plastic and reconstructive surgery 90 (5), pp. 774-778. Fulltext not available. Schmelzeisen, R., Michiwaki, Y., Reich, R. H., Prokop, M., Wegener, T., Bettin, T. and Hacki, Tamas (1992) Survival rate and functional results after microsurgical reconstruction procedures in the area of the oral cavity. Fortschritte der Kiefer- und Gesichts-Chirurgie 37, pp. 82-6. Fulltext not available. Schmidt, U., Humlícek, J., Lukes, F., Cardona, M., Presting, H., Kibbel, H., Kasper, E., Eberl, Karl, Wegscheider, Werner and Abstreiter, Gerhard (1992) Optical transitions in strained Ge/Si superlattices. Physical Review B 45 (12), pp. 6793-6801. Fulltext restricted. Schmidt, U., Humlíček, J., Lukes, F., Cardona, M., Presting, H., Kibbel, H., Kasper, E., Eberl, Karl, Wegscheider, Werner and Abstreiter, Gerhard (1992) Optical transitions in strained Ge/Si superlattices. Thin Solid Films 222 (1-2), pp. 246-250. Fulltext restricted. Schneider, G., Huggard, P. G., O'Brien, T. P., Lemoine, P., Blau, W. and Prettl, Wilhelm (1992) Spectral dependence of nonbolometric far‐infrared detection with thin‐film Bi2Sr2CaCu2O8. Applied Physics Letters 60 (5), p. 648. Scholz, Holger and Kurtz, Armin (1992) Disparate effects of calcium channel blockers on pressure dependence of renin secretion and flow in the isolated perfused rat kidney. Pflügers Archiv : European journal of physiology 421 (2-3), pp. 155-162. Schorer, R., Wegscheider, Werner, Eberl, Karl, Kasper, E., Kibbel, H. and Abstreiter, Gerhard (1992) In-plane Raman scattering of -grown Si/Ge superlattices. Thin Solid Films 222 (1-2), pp. 269-273. Fulltext restricted. Schreck, R., Meier, B., Männel, D.N., Dröge, W. and Baeuerle, P. A. (1992) Dithiocarbamates as potent inhibitors of nuclear factor kappa B activation in intact cells. The Journal of experimental medicine : JEM 175 (5), pp. 1181-1194. Schuckert, U., Poschlod, Peter and Pfadenhauer, J. (1992) Torfstich im Niedermoor – ein Beitrag zum Arten- und Biotopschutz. Telma: Berichte der Deutschen Gesellschaft für Moor- und Torfkunde 22, pp. 253-262. Fulltext not available. Schulte, Karl-Werner (1992) Aus- und Weiterbildung für Immobilienberufe. Grundstücksmarkt und Grundstückswert: GuG 3 (3), pp. 128-136. Fulltext not available. Schwarz, Hans (1992) 450 Jahre Protestantismus in Regensburg. Regensburger Almanach, pp. 73-83. Fulltext not available. Schwarz, Hans (1992) Besprechung von: Jacques Dupuis, S.J., Jesus Christ at the Encounter of World Religions., Maryknoll, NY: Orbis, 1991. Dialog der Religionen 2, pp. 203-206. Fulltext not available. Schwarz, Hans (1992) Ökumenisches Blockseminar im Kloster Penteli, Griechenland 1990. Philia (1/2), 145f. Fulltext not available. Schwinzer, Reinhard, Schlitt, Hans-Jürgen and Wonigeit, Kurt (1992) Monoclonal antibodies to common epitopes of the human alpha/beta T-cell receptor preferentially activate CD45RA+ T-cells. Cellular immunology 140 (1), pp. 31-41. Fulltext restricted. Schäfer, V., von Briesen, H., Andreesen, Reinhard, Steffan, A. M., Royer, C., Tröster, S., Kreuter, J. and Rübsamen-Waigmann, H. (1992) Phagocytosis of nanoparticles by human immunodeficiency virus (HIV)-infected macrophages: a possibility for antiviral drug targeting. Pharmaceutical research 9 (4), pp. 541-6. Fulltext not available. Schäffner, M., Bao, X. and Penzkofer, Alfons (1992) Principle Optical Constants Measurement of Uniaxial Crystal CdSe in the Wavelength Region between 380 nm and 950 nm. Appl. Opt. 31 (22), pp. 4546-4552. Schüller, Christian, Kraus, J., Latussek, V., Schaack, G. and Ebeling, J. K. (1992) Collective intersubband excitations in p-doped GaAs-AlGaAs multiple quantum wells. Solid State Communications 81 (1), pp. 3-7. Fulltext restricted. Sharaf, M. N. and Hofstädter, Ferdinand (1992) Perivaskuläre Hyalinisierung und Kalzifikation in der Gingiva nach Cyclosporin-A-Therapie. Ein neuer Befund. Der Pathologe 12, pp. 117-120. Fulltext not available. Spangler, J., Margull, U. and Prettl, Wilhelm (1992) Regular and chaotic current oscillations in n-type GaAs in transverse and longitudinal magnetic fields. Physical Review B (PRB) 45 (20), pp. 12137-12140. Stahl, F., Lepple-Wienhues, A., Kuppinger, M., Tamm, Ernst R. and Wiederholt, M. (1992) Electrogenic sodium-bicarbonate cotransport in human ciliary muscle cells. The American journal of physiology 262 (2,Pt.1), C427-C435. Steinbach, P., Hofstädter, Ferdinand, Nicolai, H., Rössler, W. and Wieland, W. (1992) In vitro investigations on cellular damage induced by high energy shock waves. Ultrasound in medicine & biology 18 (8), pp. 691-699. Fulltext not available. Steinborn, E. O., Homeier, H. H. H. and Weniger, E. J. (1992) Recent Progress on Representations for Coulomb Integrals of Exponential-type Orbitals. Journal of molecular structure. Theochem : J. Mol. Struct. (Theochem) 260, pp. 207-221. Fulltext not available. Stevens, P. A., Schadow, B., Bartholain, S., Segerer, Hugo and Obladen, Michael (1992) Surfactant protein A in the course of respiratory distress syndrome. European journal of pediatrics 151 (8), pp. 596-600. Stiemer, R. H., Westenfelder, U., Gausepohl, H., Mirshahi, M., Gundt, A., Frank, R. W. and Männel, Daniela N. (1992) A common epitope on human tumor necrosis factor alpha and the autoantigen 'S-antigen/arrestin' induces TNF-alpha production. Journal of autoimmunity 5 (1), pp. 15-26. Stiemer, R. H., Westenfelder, U., de Kozak, Y., Gausepohl, H., Mirshahi, M., Frank, R. W., Faure, J. P. and Männel, Daniela N. (1992) Cytokine induction by immunomodulatory epitopes in S-antigen and tumor necrosis factor alpha. Current eye research 11 Sup, pp. 197-202. Striegel, H.-G., Mayer, K.K. and Wiegrebe, Wolfgang (1992) Massenspektrometrische Untersuchungen an Isomeren α,β- und β, γ-ungesättigten Ketonen mit raumerfüllenden Substituenten. Archiv der Pharmazie 325, pp. 211-218. Striegel, H.-G., Mayer, K.K. and Wiegrebe, Wolfgang (1992) Verlust o-ständiger Substituenten aus ionisierten Phenylessigsäuren. Archiv der Pharmazie 325, pp. 307-310. Strutz, F., Lueg, H. O., Risler, T., Erley, C. M., Estler, M., Krämer, Bernhard K. and Müller, G. A. (1992) Proteinurie und atherogenes Risiko [Proteinuria and atherogenic risk]. Deutsche medizinische Wochenschrift 117 (34), pp. 1263-1268. Susanne, Kirchmeyer and Tanzer, Harald (1992) Fragebogen für ausländische Studienbewerber und Studenten. Ergebnisse einer Umfrage. FaDaF aktuell (6/1992), pp. 21-37. Fulltext not available. Tamm, Ernst R., Baur, A. and Lütjen-Drecoll, E. (1992) Synthesis of extracellular matrix components by human ciliary muscle cells in culture. Current eye research 11 (4), pp. 333-341. Tamm, Ernst R., Croft, M. A., Jungkunz, W., Lütjen-Drecoll, E. and Kaufman, P. L. (1992) Age-related loss of ciliary muscle mobility in the rhesus monkey. Role of the choroid. Archives of Ophthalmology 110 (6), pp. 871-876. Tamm, Ernst R., Flügel, C., Stefani, F. H. and Rohen, J. W. (1992) Contractile cells in the human scleral spur. Experimental eye research 54 (4), pp. 531-543. Tamm, Ernst R., Jungkunz, W., Marsch, W. C. and Lütjen-Drecoll, E. (1992) Increase in types IV and VI collagen in cherry haemangiomas. Archives of dermatological research 284 (5), pp. 275-282. Tamm, Svenja, Tamm, Ernst R. and Rohen, J. W. (1992) Age-related changes of the human ciliary muscle. A quantitative morphometric study. Mechanisms of ageing and development 62 (2), pp. 209-221. Tanner, U., Eibler, E., Burgemeister, T. and Wiegrebe, Wolfgang (1992) O-silylierter Milchaldehyd - Diastereomere Derivate. Pharmazeutische Zeitung 137, pp. 78-83. Tanzer, Harald (1992) PNdS. FaDaF aktuell (4/1992), pp. 15-20. Fulltext not available. Thomas, Alexander (1992) Entwicklung sozialer Handlungskompetenz durch interkulturellen Austausch. Fremdsprachenunterricht (4), pp. 193-194. Fulltext not available. Thomas, Alexander (1992) Führen im Kontext internationaler Wirtschaftsbedingungen. VBB aktuell (8/9). Fulltext not available. Thomas, Alexander (1992) Führungsstilforschung und ihre Ergebnisse. VBB aktuell (6). Fulltext not available. Thomas, Alexander (1992) Führungstheorien. VBB aktuell (4). Fulltext not available. Methanothermus fervidus. Journal of bacteriology = JB = J. Bacteriol. 174, pp. 3508-3513. Tiefenbacher, E. M., Haen, Ekkehard, Przybilla, B. and Kurz, H. (1992) Binding of ciprofloxacin (cpx) and its photoproducts to human skin. The journal of investigative dermatology 98 (4), p. 542. Fulltext not available. Trincone, A., Nicolaus, B., Palmieri, G., de Rosa, M., Huber, Robert, Huber, Gertrud, Stetter, Karl Otto and Gambacorta, A. (1992) Distribution of Complex and Core Lipids within New Hyperthermophilic Members of the Archaea Domain. Systematic and Applied Microbiology 15, pp. 11-17. Tschernig, Rolf and Zimmermann, Klaus F. (1992) Illusive persistence in German unemployment. Recherches Économique de Louvain 58, pp. 441-453. Fulltext not available. Türk, T., Resch, U., Fox, M.A. and Vogler, Arnd (1992) Cadmium Benzenethiolate Clusters of Various Size: Molecular Models for Metal Chalcogenide Semiconductors. The Journal of Physical Chemistry 96 (9), pp. 3818-3822. Türk, T., Resch, U., Fox, M.A. and Vogler, Arnd (1992) Spectroscopic Studies of Zinc Benzenethiolate Complexes: Electron Transfer to Methyl Viologen. Inorganic Chemistry 31 (10), pp. 1854-1857. Türk, T., Sabin, F. and Vogler, Arnd (1992) Optical properties of zinc oxide clusters encapsulated in a zeolite host. Materials Research Bulletin 27 (8), pp. 1003-1008. Ureña, P., Bonnardeaux, A., Eckardt, Kai-Uwe, Kurtz, Armin and Drüeke, T. B. (1992) Insulin-like growth factor I: a modulator of erythropoiesis in uraemic patients? Nephrology, dialysis, transplantation 7 (1), pp. 40-44. Vilsmeier, Markus (1992) Konzepte und Befunde zur computerunterstützten Instruktion. Zeitschrift für Pädagogische Psychologie 6, pp. 221-232. Vogl, P., Olajos, Janos, Wegscheider, Werner and Abstreiter, Gerhard (1992) Electronic structure and optical properties of short-period α-SnnGem superlattices. Surface Science 267 (1-3), pp. 83-86. Fulltext restricted. Vogler, Arnd and Nikol, H. (1992) Photochemistry and Photophysics of Coordination Compounds of the Main Group Metals. Pure and Applied Chemistry 64, pp. 1311-1317. Vorkapic-Furac, J., Mintas, M., Kastner, F. and Mannschreck, Albrecht (1992) Enantiomers and Barriers to Racemization of Sterically Hindered AT-Aryl- and N-Heteroarylpyrroles. Journal of heterocyclic chemistry 29 (2), pp. 327-333. Fulltext not available. Walther, B., Böttcher, Hans-Christian, Scheer, Manfred, Fischer, Gottfried, Fenske, D. and Süss-Fink, G. (1992) Synthese, Charakterisierung und Reaktivität heterodinuklearer Komplexe: [(CO)4(μ-PtBu2)Rh(CO)L](Fe-Rh) (L = CO2, HPtBu2), [(CO)3,Co(μ-H)(μ-PtBu2)Rh(CO)(HPtBu2)](Co-Rh). Journal of Organometallic Chemistry 437 (3), pp. 307-321. Fulltext restricted. Weber, Bernhard H. F. , Hedrick, A, Andrew, S, Riess, O, Collins, C, Kowbel, D and Hayden, M (1992) Isolation and characterization of new highly polymorphic DNA markers from the Huntington disease region. The American Journal of Human Genetics 50 (2), pp. 382-393. Fulltext not available. Weber, Bernhard H. F. , Riess, O, Wolff, G, Andrew, S, Collins, C, Graham, R, Theilman, J and Hayden, M R (1992) Delineation of a 50 kilobase DNA segment containing the recombination site in a sporadic case of Huntington's disease. Nature Genetics 2, pp. 216-222. Fulltext not available. Weber, E. and Bresinsky, Andreas (1992) Polyploidy in Discomycetes. Persoonia 14, pp. 553-563. Fulltext not available. Wegscheider, Werner, Olajos, Janos and Abstreiter, Gerhard (1992) Interband absorption in alpha-Sn/Ge short-period superlattices. Applied Physics Letters 61 (26), pp. 3130-3132. Fulltext restricted. Wegscheider, Werner, Olajos, Janos, Menczigar, U., Dondl, W. and Abstreiter, Gerhard (1992) Fabrication and properties of epitaxially stabilized Ge / α-Sn heterostructures on Ge(001). Journal of Crystal Growth 123 (1-2), pp. 75-94. Fulltext restricted. Weiss, Dieter (1992) Chaos in Electron Pinball Machines. Physics World 5, p. 25. Fulltext not available. Weiss, Dieter, Menschig, A., Klitzing, Klaus von and Weimann, G. (1992) Magnetoresistance in a Grid-Type Lateral Superlattice: The Role of Disorder. Surface Science 263, pp. 314-318. Weiss, G, Poschlod, Peter and Kohler, A. (1992) Die Vegetation der Gräben im Wurzacher Ried und ihre Abhängigkeit von Grabenräumung, Wasserchemismus und Vegetation und Nutzung der Kontaktflächen. Naturschutzforum 5/6, pp. 7-43. Fulltext not available. Wilhelm, J., Wegscheider, Werner and Abstreiter, Gerhard (1992) Sharp doping profiles and two-dimensional electron systems in Ge based heterostructures. Surface Science 267 (1-3), pp. 90-93. Fulltext restricted. Wintgen, Dieter, Richter, Klaus and Tanner, Gregor (1992) The semiclassical helium atom. Chaos 2 (1), pp. 19-33. Wittmann, M., Penzkofer, Alfons and Bäumler, W. (1992) Generation of Frequency Tunable Femtosecond Pulses in a cw Pumped Linear Dispersion-Balanced Passive Modelocked Rhodamine 6G Dye Laser. Opt. Commun. 90, pp. 182-192. Wodarz, Norbert, Fritze, J., Kornhuber, J. and Riederer, P. (1992) 3H-spiroperidol binding to human peripheral mononuclear cells: methodological aspects. Biological psychiatry 31 (3), pp. 291-303. Wodarz, Norbert, Rupprecht, R., Kornhuber, J., Schmitz, B., Wild, K. and Riederer, P. (1992) Cell-mediated immunity and its glucocorticoid-sensitivity after clinical recovery from severe major depressive disorder. Journal of affective disorders 25 (1), pp. 31-38. Wolber, V., Rensland, H., Brandmeier, B., Sagemann, M., Hoffmann, R., Kalbitzer, Hans Robert and Wittinghofer, A. (1992) Expression, purification and biochemical characterisation of the human immunodeficiency virus 1 nef gene product. European journal of biochemistry: EJB (= The FEBS journal) 205 (3), pp. 1115-1121. Fulltext not available. Wozniewski, Th., Blaschek, W. and Franz, Gerhard (1992) Isolation and Characterization of an Endo-ß-Mannase of Lilium testaceum Bulbs. Phytochemistry 31, pp. 3365-3370. Fulltext not available. Wozniewski, Th., Kraus, J. and Roßkopf, F. (1992) Pflanzliche Immunstimulation - Utopie oder Wirklichkeit. Der deutsche Apotheker 44, pp. 73-79. Fulltext not available. Yersin, Hartmut, Huber, P., Gietl, G. and Trümbach, D. (1992) Pressure-induced tuning of fluorescence to phosphorescence in [Cr(urea-h₄)₆](ClO₄)₃ and [Cr(urea-d₄)₆](ClO₄)₃. Chemical Physics Letters 199 (1-2), pp. 1-9. Fulltext not available. Zehetner, Ludwig (1992) Ein Helles, ein Dunkles, ein Weißes - oder eine Weiße? : Rundbrief / Förderverein Bairische Sprache und Dialekte e.V. (10). Fulltext not available. Zollner, R., Schmitz, H. J., Wünsch, Friedrich and Krey, Uwe (1992) Fast generating algorithm for a general 3-layer perceptron. Neural Networks 5 (5), pp. 771-777. Zulley, Jürgen (1992) Chronobiologie des Alterns. Wissenschaftliche Zeitschrift der Humboldt-Universität zu Berlin. Medizin 41 (2), pp. 86-90. Zulley, Jürgen (1992) Circadian aspects of the sleep structure. Journal of interdisciplinary cycle research : J. Interdiscipl. Cycle Res. 23 (3), pp. 167-172. Zulley, Jürgen (1992) FL: Free-running circadian rhythms in aging. Journal of sleep research 1, sup, 260: Nr. 519. Zulley, Jürgen and Carr, D. (1992) Forced splitting of human sleep in free-running rhythms. Journal of sleep research 1 (2), pp. 108-111. Bergmann, R. and Schmalhofer, Franz (1992) Learning plan abstractions: Formal model and method. In: Biundo-Stephan, Susanne and Schmalhofer, Franz, (eds.) Workshop on Planning <1, 1992, Kaiserslautern>. DFKI D 92 07. Dt. Forschungszentrum für Künstl. Intelligenz, Kaiserslautern, pp. 2-26. Fulltext not available. Bergmann, Ralph, Boschert, Stefan and Schmalhofer, Franz (1992) Das Erlernen einer Programmiersprache: Wissenserwerb aus Texten, Beispielen und komplexen Programmen. In: Reiss, Kristina and Reiss, Matthias and Spandl, Horst, (eds.) Maschinelles Lernen: Modellierung von Lernen mit Maschinen. Springer, Berlin, pp. 204-224. ISBN 3-540-55641-9. Blusch, Jürgen (1992) Einzelartikel: Jakob Carpov; Johann Nikolaus Funck(e); Augustin Gabriel Gehle; Eberhard Gottlieb Glandorf; Frankiskus de Gregorius; Johann Friedrich Hähn. In: Brekle, Herbert E. and Dobnig-Jülch, Edeltraut and Höller, Hans Jürgen and Weiß, Helmut, (eds.) Bio-bibliographisches Handbuch zur Sprachwissenschaft des 18. Jahrhunderts: die Grammatiker, Lexikographen und Sprachtheoretiker des deutschsprachigen Raums mit Beschreibung ihrer Werke. Band 1 - 8. Niemeyer, 1992-2005, Tübingen. ISBN 3-484-73020-X (Gesamtwerk). Buschauer, Armin and Baumann, Gert (1992) H_2-Agonisten des Arpromidin-Typs: Neue potentielle Arzneistoffe zur Behandlung der Herzinsuffizienz. In: Hirschelmann, R., (ed.) Entzündung und verwandte Reaktionen - Neue Erkenntnisse, neue Wirkstoffe. Jenapharm, Jena, pp. 192-203. Fulltext not available. Drascek, Daniel (1992) Oberelchingen. In: Bäumer, Remigius and Scheffczyk, Leo, (eds.) Marienlexikon. Band 4. EOS-Verl., St. Ottilien, pp. 660-661. ISBN 3-88096-894-2. Echtenacher, B., Falk, Werner, Männel, D.N. and Krammer, P.H. (1992) TNF in peritonitis of the mouse. In: Ullmann, U. and Dalhoff, A., (eds.) Significance of cytokines in the treatment of infectious deseases. Gustav Fischer, Stuttgart u.a.. Fulltext not available. Ernst, Gerhard (1992) La ce punct au ajuns studiile despre limba română din secolul al XIX-lea? In: Ernst, Gerhard and Stein, P. and Weber, B., (eds.) Beiträge zur rumänischen Sprache im 19. Jahrhundert: Akten des Kolloquiums "Die Rumänische Sprache im 19. Jahrhundert", Regensburg, 26. - 28. April 1990. Niemeyer, Tübingen, pp. 3-11. ISBN 3-484-50317-3. Fulltext not available. Ernst, Gerhard (1992) forfait oder walk over für das Französische? Zum Arrêté relatif à la terminologie du sport. In: Blank, C., (ed.) Language and Civilization: a concerted profusion of essays and studies; in honour of Otto Hietsch. 2 vol. Lang, Frankfurt a.M., pp. 683-699. ISBN 978-3-631-41627-3. Fulltext not available. Golubev, V. A., Schilz, A., Prettl, Wilhelm and Renk, Karl Friedrich (1992) Far-Infrared Photoconductivity in n-GaAs at Filamentary Current flow. In: Temkin, Richard, (ed.) Conference digest: Seventeenth International Conference on Infrared and Millimeter Waves: 14 - 17 December 1992, Pasadena, California. Proceedings of the Society of Photo-Optical Instrumentation Engineers, 1929. SPIE, Bellingham, Washington, p. 296. ISBN 0-8194-1163-9. Fulltext not available. Grziwotz, Herbert (1992) Annahme als Kind. In: Beck'sches Notar-Handbuch. Beck, München, pp. 522-529. ISBN 3-406-35866-7. Fulltext not available. Grziwotz, Herbert (1992) Eheverträge. In: Beck'sches Notar-Handbuch. Beck, München, pp. 455-483. ISBN 3-406-35866-7. Fulltext not available. Grziwotz, Herbert (1992) Erschließung und städtebauliche Verträge. In: Kauf vom Bauträger: rechtliche und steuerliche Gestaltung von Erwerbsverträgen. 6. Auflage. Schmidt, Köln, pp. 281-323. ISBN 3-504-64855-4. Fulltext not available. Grziwotz, Herbert (1992) Partnerschaftsvertrag. In: Beck'sches Notar-Handbuch. Beck, München, pp. 511-521. ISBN 3-406-35866-7. Fulltext not available. Hajak, G., Geisler, Peter and Rüther, E. (1992) Pharmakatherapie von Schlafstörungen. In: Geisler, Peter and Klein, H., (eds.) Aktuelle Aspekte der Schlafmedizin. Roderer, Regensburg, pp. 83-107. ISBN 3-89073-600-9. Haller, Axel (1992) Empirische Forschung im Prüfungswesen. In: Coenenberg, Adolf G. and Wysocki, Klaus von, (eds.) Handwörterbuch der Revision. 2. Auflage. Enzyklopädie der Betriebswirtschaftslehre, 8. Poeschel, Stuttgart, Sp. 413-426. ISBN 3-7910-8036-9. Fulltext not available. Haller, Axel and Jung, H. (1992) Aperiodische Pflichtprüfungen. In: Coenenberg, Adolf G. and Wysocki, Klaus von, (eds.) Handwörterbuch der Revision. 2. Auflage. Enzyklopädie der Betreibswirtschaftslehre, 8. Poeschel, Stuttgart, Sp. 1384-1396. ISBN 3-7910-8036-9. Fulltext not available. Helfrich-Förster, Charlotte (1992) Are neurosecretory cells involved in the circadian control of locomotor activity of Drosophila melanogaster? In: Proceedings of the VII Annual Meeting of the ESC. Lang, Frankfurt am Main, pp. 134-140. Fulltext not available. Hofmann, Hubert and Stiksrud, A. (1992) Evaluation eines Psychologie-Studienganges durch Studenten im Grundstudium. In: Reissert, Reiner, (ed.) Evaluation der Lehre Band 2: Aktuelle Aktivitäten an deutschen Hochschulen. HIS, Hannover. Fulltext not available. Huber, P., Braun, D. and Yersin, Hartmut (1992) Highly resolved emission of matrix-isolated [Os(bpy-h₈)n(bpy-d₈)3-n]²⁺ (n=0, 1, 2, 3). In: International Symposium on Photochemistry <14, 1992, Louvain>, Abstracts. , p. 232. Fulltext not available. Jannsen, Uwe (1992) Principe de Hasse cohomologique [Cohomological Hasse principle]. In: Sinnou, David, (ed.) Séminaire de théorie des nombres. - 1989/90 (1992). Progress in mathematics, 102. Birkhäuser, Boston; Basel, pp. 121-140. ISBN 0-8176-3622-6; 3-7643-3622-6. Jungnitsch, Georg (1992) Psychologische Interventionen bei chronischen Schmerzen. In: Weber-Falkensammer, Hartmut, (ed.) Psychologische Therapieansätze in der Rehabilitation. Fischer, Stuttgart, pp. 178-200. ISBN 3-437-11411-5. Fulltext not available. Jungnitsch, Georg (1992) Psychologische Verfahren in der Therapie chronischer Schmerzen - Grundlagen und Überblick. In: Geissner, Edgar, (ed.) Psychologie des Schmerzes: Diagnose und Therapie. Psychologie Verlags Union, Weinheim, pp. 227-241. ISBN 3-621-27125-2. Fulltext not available. Jungnitsch, Georg and Geissner, Edgar (1992) Stationäre Gruppenprogramme zur Schmerz- und Krankheitsbewältigung bei rheumatischen Schmerzen. In: Geissner, Edgar, (ed.) Psychologie des Schmerzes: Diagnose und Therapie. Psychologie Verlags Union, Weinheim, pp. 265-294. ISBN 3-621-27125-2. Fulltext not available. Knebusch, Manfred (1992) Semialgebraic topology in the last ten years. In: Coste, Michel and Mahé, Louis and Roy, Marie-Francoise, (eds.) Real algebraic geometry. Lecture Notes in Mathematics, 1524. Springer, Berlin, pp. 1-36. ISBN 3540559922; 978-3540559924. Kraus, J. and Franz, Gerhard (1992) Immunomodulating Effects of Polysaccharides from Medicinal Plants. In: Friedman, Herman, (ed.) Microbial infections: role of biological response modifiers; proc. of an International Conferenee on Microbial Infections, May 29 - 31, 1991, Tampa, Florida. Advances in experimental medicine and biology, 319. Plenum Press, New York, pp. 299-308. ISBN 0-306-44237-X. Fulltext not available. Kretzenbacher, Heinz L. and Thurmair, Maria (1992) Textvergleich als Grundlage zur Beschreibung einer wissenschaftlichen Textsorte: Das Peer Review. In: Baumann, Klaus-Dieter and Kalverkämper, H., (eds.) Kontrastive Fachsprachenforschung. Forum für Fachsprachen-Forschung, 20. Narr, Tübingen, pp. 135-146. ISBN 3-8233-4529-X. Kutschera, Franz (1992) Der erkenntnistheoretische Realismus. In: Sandkühler, Hans Jörg, (ed.) Wirklichkeit und Wissen: Realismus, Antirealismus und Wirklichkeits-Konzeptionen in Philosophie und Wissenschaften. Philosophie und Geschichte der Wissenschaften, 18. Lang, Frankfurt am Main, pp. 27-40. ISBN 3-631-45156-3. Köhler, H. and Jungnitsch, Georg (1992) Psychotherapie bei Schmerz - Darstellung am Einzelfall. In: Geissner, Edgar, (ed.) Psychologie des Schmerzes: Diagnose und Therapie. Psychologie Verlags Union, Weinheim, pp. 243-164. ISBN 3-621-27125-2. Fulltext not available. Kühn, Otto and Schmalhofer, Franz (1992) Hierachical skeletal plan refinement: Task- and inference structures. In: Bauer, Christian and Karbach, W., (eds.) Interpretation Models for KADS: proceedings of the 2. KADS User Meeting (KUM '92). GMD-Studien, 212. GMD, Sankt Augustin. ISBN 3-88457-212-1. Fulltext not available. Laux, Bernhard (1992) Gerechtigkeit und Wirtschaftsordnung. In: Ernst, Willhelm, (ed.) Gerechtigkeit in Gesellschaft, Wirtschaft und Politik. Studien zur theologischen Ethik, 46. Universitäts-Verlag, Freiburg, Schweiz, pp. 135-140. ISBN 3-451-22990-0; 3-7278-0838-1. Manley, Geoffrey A. and Gleich, Otto (1992) 27. Evolution and Specialization of Function in the Avian Auditory Periphery. In: Webster, Douglas B. and Fay, Richard R. and Propper, Arthur N., (eds.) The Evolutionary Biology of Hearing. Springer, New York, pp. 561-580. Meixner, Uwe (1992) On Negative and Disjunctive Properties. In: Mulligan, K., (ed.) Language, Truth and Ontology. Philosophical studies series, 51. Kluwer Acad. Publ., Dordrecht, pp. 28-36. ISBN 0-7923-1509-X. Meyer-Scharenberg, Dirk (1992) Abgrenzung zwischen privater Vermögensverwaltung und gewerblichem Grundstückshandel. In: Boveleth, Karl-Heinz, (ed.) Handbuch der Bauinvestitionen und Immobilienkapitalanlagen: (HdB). Band 4. Losebl.-Ausg. Müller, Heidelberg, F. 4040. ISBN 3-8114-1210-8. Männel, D.N., Jänicke, R., Westenfelder, U., Orosz, P.G., Echtenacher, B., Kist, A. and Falk, Werner (1992) Tumor cell-induced TNF production. In: Osawa, T. and Bonavida, B., (eds.) Tumor Necrosis Factor: Structure Function Relationship and Clinical Application. Karger, Basel, pp. 166-172. Neumann-Holzschuh, Ingrid (1992) Spanisch: Grammatikographie. In: Holtus, Günter and Metzeltin, Michael and Schmitt, Christian, (eds.) Lexikon der romanistischen Linguistik (LRL), Band 6,1: Aragonesisch/Navarresisch, Spanisch, Asturianisch/Leonesisch. Niemeyer, Tübingen, pp. 616-635. ISBN 3-484-50236-3. Fulltext not available. Penzkofer, Alfons and Bäumler, W. (1992) Femtosecond Pulse Generation in a cw Pumped Passive Mode-Locked Linear Rhodamine6G-DODCI Dye Laser. In: Laubereau, Alfred, (ed.) Ultrafast processes in spectroscopy 1991: proceedings of the Seventh International Symposium on Ultrafast Processes in Spectroscopy held in Bayreuth, Germany, 7 - 10 October 199; Emil Warburg-Symposium; EPS - meeting. Institute of Physics conference series, 126. IOP Publishing, Bristol, pp. 89-92. ISBN 0-7503-0198-8. Penzkofer, Alfons and Bäumler, W. (1992) Saturable Absorption Dynamics of DODCI in CW Femtosecond Dye Lasers. In: Duarte, F. J. and Harris, D. G., (eds.) Proceedings of the International Conference on Lasers '91: San Diego, California, December 9 - 13, 1991. STS Press, McLean, Va., pp. 890-897. Poschlod, Peter (1992) Development of vegetation in peat-mined areas in some bogs in the foothills of the Alps. In: Bragg, Olivia M. and Hulme, P. D. and Ingram, H. A, P. and Robertson, R. A., (eds.) Peatland ecosystems and man: an impact assessment. Dep. of Biological Sciences, Dundee, pp. 287-290. ISBN 0-904778-01-0. Fulltext not available. Poschlod, Peter (1992) Holzkohlen = Teil des Aufsatzes "Paläobotanische Untersuchungen zur antiken Pflanzenwelt des Hassek Höyük im Euphrattal und ein Versuch zur Rekonstruktion des dortigen Ökosystems für den Übergang von der späten Urukzeit zur frühen Bronzezeit. In: Behm-Blancke, Martin R., (ed.) Hassek Höyük: naturwissenschaftliche Untersuchungen und lithische Industrie. Istanbuler Forschungen, 38. Wasmuth, Tübingen, p. 43. ISBN 3-8030-1759-9. Prettl, Wilhelm, Lengfellner, Hans, Kaminski, J. P., Schneider, G., Huggard, P. G., O'Brien, T. P. and Blau, W. (1992) Far Infrared Response of Thin Film Bi₂Sr₂CaCu₂O₈ usingthe UCSB-FEL. In: Temkin, Richard, (ed.) Conference digest: Seventeenth International Conference on Infrared and Millimeter Waves: 14 - 17 December 1992, Pasadena, California. Proceedings of the Society of Photo-Optical Instrumentation Engineers, 1929. SPIE, Bellingham, Washington, p. 18. ISBN 0-8194-1163-9. Fulltext not available. Reichle, A., Diddens, H., Altmayr, F., Rastetter, J. and Andreesen, Reinhard (1992) Enhanced verapamil mediated vincristine accumulation in cycling human B-CLL cells. In: Drug resistance in Leukemia and Lymphoma. Proceedings of a Symposium at the Free University of Amsterdam, March 16, 1992. Harwood Academic Publishers. Fulltext not available. Richardi, Reinhard (1992) Arbeitszeitflexibilisierung – kollektive Arbeitszeitregelung und individuelle Arbeitszeitsouveränität. In: Gerhardt, Walter, (ed.) Festschrift für Franz Merz: zum 65. Geburtstag am 3. Februar 1992. Verlag Kommunikationsforum Recht, Wirtschaft, Steuern, Köln, pp. 481-496. ISBN 3-8145-8033-8. Fulltext not available. Richardi, Reinhard (1992) Betriebsübergang und Arbeitsvertrag. In: Hromadka, Wolfgang, (ed.) Arbeitsrechtsfragen bei der Umstrukturierung und Sanierung von Unternehmen. Schäffer-Poeschel, Stuttgart, pp. 143-163. ISBN 3-8202-0830-5. Fulltext not available. Richardi, Reinhard (1992) Die Beteiligung des Personalrats bei einem Wechsel des Dienstortes nach dem Bundespersonalvertretungsgesetz. In: Däubler, Wolfgang, (ed.) Arbeit und Recht: Festschrift für Albert Gnade zum 65. Geburtstag. Bund-Verlag, Köln, pp. 267-273. ISBN 3-7663-2409-8. Fulltext not available. Richardi, Reinhard (1992) Mitbestimmungsgesetze. In: Gaugler, Eduard, (ed.) Handwörterbuch des Personalwesens. 2. Auflage. Enzyklopädie der Betriebswirtschaftslehre, 5. Poeschel, Stuttgart, Sp. 1419-1429. ISBN 3-7910-8031-8. Fulltext not available. Richardi, Reinhard (1992) Probleme des Arbeitsentgelts bei flexibler Arbeitszeit. In: Förster, Wolfgang, (ed.) Betriebliche Altersversorgung in der Diskussion zwischen Praxis und Wissenschaft: Festschrift zum 60. Geburtstag von Peter Ahrend. Schmidt, Köln, pp. 263-272. ISBN 3-504-06012-3. Fulltext not available. Richter, Klaus and Wintgen, Dieter (1992) Long-lived resonant states in Planetary atoms. In: Walther, Herbert and Hänsch, T. W. and Neizert, B., (eds.) Atomic Physics 13. American Institute of Physics <New York, NY>: AIP conference proceedings, 275. American Inst. of Physics, New York, pp. 388-400. ISBN 1-56396-057-5. Rott, Hans (1992) On the Logic of Theory Change: More Maps Between Different Kinds of Contraction Function. In: Gärdenfors, Peter, (ed.) Belief revision. Cambridge tracts in theoretical computer science, 29. Cambridge University Press, Cambridge, pp. 122-141. ISBN 0-521-41260-9 (print), 978-0-511-52666-4 (e-book). Scheibenbogen, C., Keilholz, U., Richter, M., Brado, B., Andreesen, Reinhard and Hunstein, W. (1992) Expression and release of IL-2 receptor alpa- and beta-chain (CD25 and p75) in human monocytes and macrophages. In: Freund, M. and Link, H. and Welte, K., (eds.) Cytokines in Hemopoiesis, Oncology and AIDS. Springer, Berlin u.a.. ISBN 0387552421; 978-0387552422. Fulltext not available. Schlögel, Herbert (1992) In medio ecclesiae: ekklesiologische Aspekte in der Moraltheologie. In: Demmer, Klaus and Ducke, Karl-Heinz, (eds.) Moraltheologie im Dienst der Kirche: Festschrift für Wilhelm Ernst zum 65. Geburtstag. Erfurter theologische Studien, 64. Benno-Verlag, Leipzig, pp. 57-67. ISBN 3-7462-1038-0; 3-7462-1036-4. Schmalhofer, Franz (1992) Relations between knowledge engineering and cognitive science: from import/export to a truly interdisciplinary knowledge acquisition enterprise. In: Schmalhofer, Franz and Strube, Gerhard and Wetter, Th., (eds.) Contemporary knowledge engineering and cognition: first Joint Workshop, Kaiserslautern, Germany, February 21-22, 1991; proceedings. Lecture notes in computer science: Lecture notes in artificial intelligence, 622. Springer, Berlin, pp. 3-5. ISBN 3-540-55711-3; 0-387-55711-3. Schmalhofer, Franz, Globig, Ch. and Thoben, J. (1992) The refitting of plans by a human expert. In: Schmalhofer, Franz and Strube, Gerhard and Wetter, Th., (eds.) Contemporary knowledge engineering and cognition: first Joint Workshop, Kaiserslautern, Germany, February 21-22, 1991; proceedings. Lecture notes in computer science: Lecture notes in artificial intelligence, 622. Springer, Berlin, pp. 115-124. ISBN 3-540-55711-3; 0-387-55711-3. Schmalhofer, Franz, Reinartz, Th. and Tschaitschian, B. (1992) Intelligent documentation as a catalyst for developing cooperative knowledge-based systems. In: Wetter, Thomas and Althoff, K.-D. and Boose, J. and Gaines, Brian R. and Linster, M. and Schmalhofer, Franz, (eds.) Current developments in knowledge acquisition - EKAW '92. Lecture notes in computer science: Lecture notes in artificial intelligence, 599. Springer, Berlin, pp. 406-424. ISBN 3-540-55546-3; 0-387-55546-3. Fulltext not available. Schneider, G., Huggard, P. G., Blau, W., Stangl, E., Bäuerle, D., Schwab, P., Wang, X. Z., Proyer, S. and Prettl, Wilhelm (1992) Sensitivity Improvement of Granular Thin Film High Tc Superconductor FIR Detection by a post Annealing procedure. In: Temkin, Richard, (ed.) Conference digest: Seventeenth International Conference on Infrared and Millimeter Waves: 14 - 17 December 1992, Pasadena, California. Proceedings of the Society of Photo-Optical Instrumentation Engineers, 1929. SPIE, Bellingham, Washington, p. 26. ISBN 0-8194-1163-9. Fulltext not available. Schulte, Karl-Werner (1992) Immobilienökonomie als Wissenschaft. In: Bronner, Oscar, (ed.) Immobilien in Europa. Band 2: Märkte in Bewegung. Der STANDARD: Bibliothek. Bronner, Wien, pp. 230-235. ISBN 3-901047-10-7. Fulltext not available. Schulz, H., Wilde-Frenz, J., Volk, S. and Geisler, Peter (1992) Narcolepsy and the pathological aspects of multiple napping. In: Stampi, C., (ed.) Why we nap: Evolution, chronobiology, and functions of polyphasic and ultrashort sleep. Birkhäuser, Basel, pp. 258-270. ISBN 3-7643-3462-2, 0-8176-3462-2. Schumann, Ekkehard (1992) Privater Hörfunk in Bayern. Nur Berieselung? In: Weiss, Günther, (ed.) Tractatus de musica Bavariae : Festschrift Alexander L. Suder zum 65. Geburstag. Schneider, Tutzing, pp. 39-50. ISBN 3-7952-0729-0. Fulltext not available. Schwarz, Hans (1992) "Eschatologie, systematisch-theologisch". In: Burkhardt, Helmut, (ed.) Evangelisches Lexikon für Theologie und Gemeinde. Bd. 1. Brockhaus, Wuppertal, pp. 544-547. ISBN 3-417-24641-5. Fulltext not available. Schwarz, Hans (1992) "Eschatology". In: Musser, Donald W. and Price, Joseph L., (eds.) A new handbook of christian theology. Abingdon Press, Nashville, Tenn., pp. 156-160. ISBN 0-687-27802-3. Fulltext not available. Schwarz, Hans (1992) "Transcendence". In: Musser, Donald W. and Price, Joseph L., (eds.) A new handbook of christian theology. Abingdon Press, Nashville, Tenn., pp. 494-499. ISBN 0-687-27802-3. Fulltext not available. Schwarz, Hans (1992) Die Reformation in Regensburg bis zur Konkordienformel. In: Angerer, Martin, (ed.) 1542 - 1992, 450 Jahre Evangelische Kirche in Regensburg: eine Ausstellung der Museen der Stadt Regensburg in Zusammenarbeit mit der Evangelisch-Lutherischen Kirche in Regensburg ; Museum der Stadt Regensburg, 15. Oktober 1992 bis 19. Januar 1993. Museen der Stadt Regensburg, Regensburg, pp. 59-70. ISBN 3-925753-28-1. Fulltext not available. Schwarz, Hans (1992) Göttliche Atempausen. In: Glaube, der das Leben liebt. Herderbücherei, (Sonderban. Herder, Freiburg, pp. 79-85. ISBN 3-451-22600-6 (formal falsch). Fulltext not available. Schwarz, Hans (1992) One Lord and One Church: Wishful Thinking and Hard Realities. In: Timetiko aphieroma ston kathegete Ioanne Or. Kalogeru: synergasia synadelphon, matheton kai Philon tu Timomenu. Thessaloniki, Universität, Thessaloniki, pp. 249-260. Fulltext not available. Schwarz, Hans (1992) Regensburger Reformationsjubiläen. In: Angerer, Martin, (ed.) 1542 - 1992, 450 Jahre Evangelische Kirche in Regensburg: eine Ausstellung der Museen der Stadt Regensburg in Zusammenarbeit mit der Evangelisch-Lutherischen Kirche in Regensburg ; Museum der Stadt Regensburg, 15. Oktober 1992 bis 19. Januar 1993. Museen der Stadt Regensburg, Regensburg, pp. 439-444. ISBN 3-925753-28-1. Fulltext not available. Schwarz, Hans (1992) Religion als Störenfried oder als Hoffnungsträger für den Weltfrieden? In: Angel, Hans-Ferdinand and Hemel, Ulrich, (eds.) Basiskurse im Christsein: zu Ehren von Wolfgang Nastainczyk. Lang, Frankfurt am Main, pp. 440-445. ISBN 3-631-44678-0. Fulltext not available. Selig, Maria (1992) Un exemple de normalisation linguistique dans l'Italie médiévale - Grégoire de Catino et le Regestum Farfense. In: Iliescu, Maria and Marxgut, Werner, (eds.) Latin vulgaire - latin tardif III: actes du IIIème Colloque International sur le Latin Vulgaire et Tardif (Innsbruck, 2 - 5 septembre 1991). Niemeyer, Tübingen, pp. 329-341. ISBN 3-484-50329-7. Fulltext not available. Thomas, Alexander (1992) Aspekte interkulturellen Führungsverhaltens. In: Bergemann, Niels and Sourisseaux, Andreas L. J., (eds.) Interkulturelles Management. Physica-Verl., Heidelberg, pp. 35-38. ISBN 3-7908-0628-5. Fulltext not available. Thomas, Alexander (1992) Einführung. In: Thomas, Alexander and Sandhaas, B., (eds.) Beiträge zur Integration und Reintegration von Studierenden aus Entwicklungsländern. SSIP-Bulletin, 64. Breitenbach, Saarbrücken, pp. 1-8. ISBN 3-88156-578-7. Fulltext not available. Thomas, Alexander (1992) Konfrontation und Integration kulturspezifischer Formen produktiven Denkens bei ausländischen Studenten. In: Thomas, Alexander and Sandhaas, B., (eds.) Beiträge zur Integration und Reintegration von Studierenden aus Entwicklungsländern. SSIP-Bulletin, 64. Breitenbach, Saarbrücken, pp. 37-52. ISBN 3-88156-578-7. Fulltext not available. Thomas, Alexander and Hagemann, K. (1992) Training interkultureller Kompetenz. In: Bergemann, Niels and Sourisseaux, Andreas L. J., (eds.) Interkulturelles Management. Physica-Verl., Heidelberg, pp. 173-199. ISBN 3-7908-0628-5. Fulltext not available. Thomm, Michael and Hausner, W. (1992) Genes for stable RNAs and their expression in archaea. In: Sebald, Madeleine, (ed.) Genetics and molecular biology of anaerobic bacteria. Brock/Springer series in contemporary bioscience. Springer, New York, pp. 36-53. ISBN 0-387-97669-8; 3-540-97669-8. Tiefenbach, Heinrich (1992) Zur Philologie der frühen Corveyer Ortsnamenüberlieferung. In: Schützeichel, Rudolf, (ed.) Philologie der ältesten Ortsnamenüberlieferung : Kieler Symposium, 1.-3. 10.1991. Beiträge zur Namenforschung : Beiheft, 40. Winter, Heidelberg, pp. 107-133. ISBN 3-533-04572-2. Vogler, Arnd and Kunkely, Horst (1992) Light Induced Electron Transfer of Metal Complexes. In: Müller, A. and Ratajczak, H. and Junge, W. and Diemann, E., (eds.) Electron and Proton Transfer in Chemistry and Biology. Elsevier, Amsterdam, pp. 31-43. ISBN 0444888624. Weiss, Dieter, Koch, S., Klitzing, Klaus v., Nickel, H., Schlapp, W. and Lösch, R. (1992) Edge Channel Transport under Quantum Hall Conditions. In: Landwehr, Gottfried, (ed.) High Magnetic Fields in Semiconductor Physics III: quantum hall effect, transport and optics ; proceedings of the international conference, Würzburg, Fed. Rep. of Germany, July 30 - August 3, 1990. Springer Series in Solid State Sciences, 101. Springer, Berlin, 119ff. ISBN 3-540-53618-3. Fulltext not available. Weiss, Dieter, Roukes, M., Menschig, A. and Grambow, P. (1992) Electron Transport Through an 'Anti' Dot Array. In: Kirk, Wiley P., (ed.) Nanostructures and Mesoscopic Systems: proceedings of the International Symposium, Santa Fe, New Mexico, May 20 - 24, 1991. Academic Press, Boston, pp. 299-309. ISBN 0-12-409660-3. Wetzel, Hermann (1992) Die Zeit nach 1945. In: Kapp, Volker, (ed.) Italienische Literaturgeschichte. Metzler, Stuttgart, pp. 351-403. ISBN 3-476-00843-6. Fulltext not available. Wiedenhofer, H., Schützenmeier, S., Yersin, Hartmut, Chassot, L., Jolliet, P. and v. Zelewsky, A. (1992) Highly resolved emission and excitation spectra of cyclometalated Pd(II) and Pt(II) complexes. In: International Symposium on Photochemistry <14, 1992, Louvain>, Abstracts. , p. 232. Fulltext not available. Wolff, Christian and Womser-Hacker, Christa (1992) Eine multimodale Benutzerschnittstelle für Werkstoffinformation. In: Neubauer, Wolfram and Meier, Karl-Heinz, (eds.) Deutscher Dokumentartag 1991: Information und Dokumentation in den 90er Jahren. Neue Herausforderung, neue Technologien. Deutsche Gesellschaft für Dokumentation, Frankfurt, pp. 521-544. ISBN 3-925474-13-7. Fulltext not available. Zulley, Jürgen (1992) Circadiane Periodik. In: Tewes, Uwe and Wildgrube, Klaus, (eds.) Psychologie-Lexikon. Oldenbourg, München, pp. 52-55. ISBN 3-486-20947-7. Bell, C. (1992) Assets and credit contracts. Regensburger Diskussionsbeiträge zur Wirtschaftswissenschaft 245, Working Paper. Fulltext not available. Drumm, H.J. (1992) Theoretical foundations of personel and human resource management - a problem without a solution? Regensburger Diskussionsbeiträge zur Wirtschaftswissenschaft 251, Working Paper. Fulltext not available. Drumm, H.J., Eigler, J., Kick, T., Meckl, R. and Scherm, Ewald (1992) Neuere Entwicklungen in Personalwirtschaft, Organisation und Unternehmensführung. Regensburger Diskussionsbeiträge zur Wirtschaftswissenschaft 253, Working Paper. Fulltext not available. Hofmann, Hubert and Stiksrud, Arne (1992) Hochschulsozialisation und Hochschulevaluation im Psychologiestudium. Bericht / Entwicklungs- und Pädagogische Psychologie an der Katholischen Universität Eichstätt-Ingolstadt 1, Eichstätt. (Unpublished) Fulltext not available. Lukesch, Helmut (1992) Einführung in die Pädagogische Psychologie. Psychologie in der Lehrerausbildung 1, CH-Verlag, Regensburg. Fulltext not available. Lukesch, Helmut (1992) Medienbewirkte Lerneffekte: Ergebnisse einer Längsschnittstudie. Arbeitsberichte zur pädagogischen Psychologie 34, Regensburg. (Unpublished) Fulltext not available. Lukesch, Helmut (1992) Medienwelten Jugendlicher und die Rolle von Videospielen. Arbeitsberichte zur pädagogischen Psychologie 33, Regensburg. (Unpublished) Fulltext not available. Lukesch, Helmut (1992) Stellungnahme und Materialien zum Fragekatalog des Ausschusses für Frauen und Jugend des Bundesrates zu dem Entwurf eines Gesetzes zur Änderung des Strafgesetzbuches und des Gesetzes über die Verbreitung jugendgefährdender Schriften. Regensburg. (Unpublished) Fulltext not available. Lukesch, Helmut and Ingrisch, Michaela (1992) Fernseh-, Print- und Videonutzung, politisches Interesse und zeitgeschichtliches Wissen, Lebensziele, Auto- und Heterostereotype bei Kindern und Jugendlichen in den neuen Bundesländern. Regensburg. (Unpublished) Fulltext not available. Lukesch, Helmut and Ingrisch, Michaela (1992) Fernsehen und Lesen: Ergebnisse aus einer Längsschnittstudie mit 6- bis 9jährigen Kindern. Project Report, Regensburg. (Unpublished) Fulltext not available. Bundesländern: ein Vergleich von Fernseh-, Print- und Videonutzung, politischem Interesse und zeitgeschichtlichem Wissen, von Lebenszielen sowie Auto- und Heterostereotypen. Regensburg. (Unpublished) Fulltext not available. Richter, W.F. and Wiegard, Wolfgang (1992) Zwanzig Jahre "Neue Finanzwissenschaft". Regensburger Diskussionsbeiträge zur Wirtschaftswissenschaft 250, Working Paper. Fulltext not available. Scherm, Ewald (1992) Strategieangepaßtes Personalmanagement in international tätigen Unternehmungen. Regensburger Diskussionsbeiträge zur Wirtschaftswissenschaft 244, Working Paper. Fulltext not available. Scherrer, G. (1992) Konzeption der Bilanzierung und Bewertung in der D-Markeröffnungsbilanz. Regensburger Diskussionsbeiträge zur Wirtschaftswissenschaft 247, Working Paper. Fulltext not available. Scherrer, G. and Wimmer, K. (1992) Kostenabweichungsanalyse. Regensburger Diskussionsbeiträge zur Wirtschaftswissenschaft 246, Working Paper. Fulltext not available. Vogt, W. (1992) Capitalist versus liberal firm and economy: Outline of a theory. Regensburger Diskussionsbeiträge zur Wirtschaftswissenschaft 249, Working Paper. Fulltext not available. Wimmer, K. (1992) Marktzinsmethode, Investitionsrechnung und Revisionshypothese - eine Synthese. Regensburger Diskussionsbeiträge zur Wirtschaftswissenschaft 252, Working Paper. Fulltext not available. Wolff, Christian (1992) Der erste multimodale Prototyp WING-M1. WING-IIR-Arbeitsbericht 24, Technical Report, Univ., Philosophische Fakultät, Sprach- und Literaturwissenschaften, Regensburg. Fulltext not available. Wolff, Christian (1992) Überlegungen zum graphischen Retrieval in Werkstoffdatenbanken. WING-IIR-Arbeitsbericht 31, Technical Report, Univ., Philosophische Fakultät, Sprach- und Literaturwissenschaften, Universität Regensburg. Fulltext not available. Blobel, Bernd (1992) Die Realisierung eines integrierten Krankenhausinformationssystems - pro oder contra HL7? In: Europäische Perspektiven der Medizinischen Informatik, Biometrie und Epidemiologie. 37. Jahrestagung der Deutschen Gesellschaft für Medizinische Informatik, Biometrie und Epidemiologie (GMDS), 20. - 23.9.1992, Mainz. Fulltext not available. Lukesch, Helmut (1992) Adolescent media worlds and the role of video games. In: "On Gutenberg's Shoulders" - Second International Media Ecology Conference Organized by Stiftung Lesen, Mainz, 23. - 26.September 1992. (Unpublished) Fulltext not available. Lukesch, Helmut (1992) Beiträge zur Wirkung von Gewalt, Pornographie und blasphemischen Darstellungen aus der Perspektive der empirischen Medienforschung. In: Fortbildungslehrgang "Gefährdungen im Jugendalter - erzieherische Angebote" Einladung der Akademie für Lehrerfortbildung Dillingen, 26.03.1992, Hesselberg. (Unpublished) Fulltext not available. Lukesch, Helmut (1992) Bildbotschaften der Legitimation von Gewalt - historische und aktuelle Beispiele. In: Institut für Psychologie der Universität Bamberg, 02.12.1992, Bamberg. (Unpublished) Fulltext not available. Lukesch, Helmut (1992) Die Faszination des Grauens - zur Verbreitung und Wirkung von Gewalt- und Horrorfilmen. "Lust am Grauen - Verbreitung und Wirkung von Horrorvideos und Computerspielen". In: Tagung der Evangelischen Akademie Arnoldshain, 26.9.1992, Arnoldshain. (Unpublished) Fulltext not available. Lukesch, Helmut (1992) Familie und Medien. In: Bayerischer Landesverbandstag des Deutschen Familien Verbandes, 15.3.1992, Burglengenfeld. (Unpublished) Fulltext not available. Lukesch, Helmut (1992) Gewalt und Gewaltbotschaften in den Medien. Aktuelle und historische Aspekte. In: Institut für Pädagogische und Rehabilitationspsychologie an der Universität Rostock, 14.5.1992, Rostock. (Unpublished) Fulltext not available. Lukesch, Helmut (1992) Historische und aktuelle Aspekte von Gewalt in den Medien. In: Aufbauseminar der Suchtberater von Baden-Württemberg, 01.04.1992, Freudenthal bei Heilbronn. (Unpublished) Fulltext not available. Lukesch, Helmut (1992) Jugendliche im Umgang mit den Medien: die Qual der Wahl oder Räume für Träume. In: "Seminar zur Familienpolitik" der Hanns-Seidel-Stiftung, 17.10.1992 und 26.11.1992, Bildungszentrum Kloster Banz. (Unpublished) Fulltext not available. Lukesch, Helmut (1992) Kinder, Jugend und Medien. In: Gutachterliche Stellungnahme bei der öffentlichen Anhörung des Bundesratsausschusses für Frauen und Jugend, 21.1.1992, Magdeburg. (Unpublished) Fulltext not available. Lukesch, Helmut (1992) Kritischer Umgang mit Medien. In: Seminar "Forum der älteren Generation" der Hanns-Seidel-Stiftung, 25.8.1992, Wildbad Kreuth. (Unpublished) Fulltext not available. Lukesch, Helmut (1992) Medienbewirkte Lerneffekte - Ergebnisse einer Längsschnittstudie. In: 38. Kongreß der Deutschen Gesellschaft für Psychologie, 28.09. - 01.10.1992, Trier. (Unpublished) Fulltext not available. Lukesch, Helmut and Unterholzner, G. (1992) Streß bei Krankenpflegeschülern und examinierten Krankenpflegern in der stationären Psychiatrie. In: 38. Kongreß der Deutschen Gesellschaft für Psychologie, 28.09. - 01.10.1992, Trier. (Unpublished) Fulltext not available. Wagner, R., Fließbach, H., Deml, Ludwig, Mühlbacher, G., Niedrig, M., Modrow, S. and Wolf, H. (1992) Construction and immunological evaluation of a novel HIV candidate vaccine. In: 10th Cold Spring Harbor Vaccines Meeting including prevention of AIDS, 1992, Cold Spring Harbor, New York. Fulltext not available. Geisler, Peter and Klein, H., eds. (1992) Aktuelle Aspekte der Schlafmedizin. Roderer, Regensburg. ISBN 3-89073-600-9. Fulltext not available. Thomas, Alexander and Sandhaas, B., eds. (1992) Beiträge zur Integration und Reintegration von Studierenden aus Entwicklungsländern. SSIP-Bulletin, 64. Breitenbach, Saarbrücken. ISBN 3-88156-578-7. Fulltext not available. Ernst, Gerhard and Stein, P. and Weber, Barbara, eds. (1992) Beiträge zur rumänischen Sprache im 19. Jahrhundert: Akten des Kolloquiums "Die rumänische Sprache im 19. Jahrhundert", Regensburg 26. - 28. April 1990. Niemeyer, Tübingen. ISBN 3-484-50317-3. Fulltext not available. Wetter, Thomas and Althoff, K.-D. and Boose, J. and Gaines, B. R. and Linster, M. and Schmalhofer, Franz, eds. (1992) Current Developments in Knowledge Acquisition EKAW '92: 6th European Knowledge Acquisition Workshop, Heidelberg and Kaiserslautern, Germany, May 18 - 22, 1992; proceedings. Lecture Notes in Computer Science, 599. Springer, Berlin. ISBN 3-540-55546-3; 0-387-55546-3. Fulltext not available. Ernst, Gerhard and Weber, Barbara, eds. (1992) Deutsch-rumänische Sprach- und Kulturbeziehungen im 19. Jahrhundert. Schriftenreihe des Osteuropainstituts Regensburg-Passau, 13. Lassleben, Regensburg. ISBN 3-7847-3163-5. Fulltext not available. Borgmann, Klaus and Manssen, Gerrit, eds. (1992) Verfassungsreform und Grundgesetz / 32. Tagung der Wissenschaftlichen Mitarbeiterinnen und Mitarbeiter der Fachrichtung "Öffentliches Recht" Regensburg 1992. Boorberg, Stuttgart. ISBN 3-415-01770-2. Fulltext not available. Bartmann, Dieter and Beckmann, Martin J. (1992) Inventory control : models and methods. Lecture notes in economics and mathematical systems, 388. Springer, Berlin. ISBN 3-540-55820-9 ; 0-387-55820-9. Dotzler, Bernhard (1992) Technopathologien. Materialität der Zeichen : Reihe A, 7. Fink, München. ISBN 3-7705-2726-7. Fulltext not available. Dowling, Michael (1992) Strategic Investments in Innovation: The Telecommunications Equipment Industry 1975-1986. Garland studies in entrepreneurship. Garland Publishing, New York. ISBN 0-8153-0999-6. Fulltext not available. Eser, U., Grötzinger, C., Konold, W. and Poschlod, Peter (1992) Naturschutzstrategien. Primäre Lebensräume – Sekundäre Lebensräume – Ersatzlebensräume. Ansätze für eine Neuorientierung im Naturschutz. Veröffentlichungen Projekt "Angewandte Ökologie": PAÖ, 2. Landesanstalt für Umweltschutz Baden-Württemberg. Fulltext not available. Gereth, Bettina and Schulte, Karl-Werner (1992) Mezzanine-Finanzierung. Betriebliche Praxis, 6. Eul, Bergisch Gladbach. ISBN 3-89012-268-X. Fulltext not available. Grifka, Joachim (1992) Die Knieschule: Hilfe bei Kniebeschwerden. rororo-Sachbuch: Medizin und Gesundheit, 9186. Rowohlt-Taschenbuch-Verl., Reinbek bei Hamburg. ISBN 3-499-19186-5. Fulltext not available. Grifka, Joachim and Richter, Jens (1992) Meniskussonographie: Lehrbuch und Atlas. Bücherei des Orthopäden, 60. Enke, Stuttgart. ISBN 3-432-25161-0. Fulltext not available. Grziwotz, Herbert (1992) Partnerschaftsvertrag für die nichteheliche Lebensgemeinschaft. Beck'sche Musterverträge, 10. Beck, München. ISBN 3-406-35644-3. Fulltext not available. Grziwotz, Herbert (1992) Trennung und Scheidung: wichtige Rechtsfragen zu Getrenntleben, Scheidungsvoraussetzungen, Vermögensauseinandersetzung und Unterhalt: ein Ratgeber. dtv: Beck-Ratgeber Recht im dtv, 50612. Dt. Taschenbuch-Verl., München. ISBN 3-423-50612-1; 3-406-36653-8. Fulltext not available. Grziwotz, Herbert (1992) Wichtige Rechtsfragen zur Ehe: alles, was ich wissen muß zu Eheschließung, Rechten und Pflichten in der Ehe, ehelichem Güterrecht, Eheverträgen. dtv: Beck-Ratgeber Recht, 50611. Dt. Taschenbuch-Verl., München. ISBN 3-423-50611-3; 3-406-36612-0. Fulltext not available. Haller, Axel and Coenenberg, Adolf Gerhard (1992) Jahresabschluß und Jahresabschlußanalyse: Aufgaben und Lösungen. 3. - 6. Auflage. Studienbibliothek Betriebswirtschaft, 2. Verlag Moderne Industrie, München. Fulltext not available. Leinsle, Ulrich G. (1992) Vom Umgang mit Dingen. Ontologie im dialogischen Konstruktivismus. Reihe wissenschaftlicher Texte, 44. Maro-Verlag, Augsburg. Fulltext not available. Richardi, Reinhard (1992) Arbeitsrecht in der Kirche: staatliches Arbeitsrecht und kirchliches Dienstrecht. 2. Auflage. Beck, München. ISBN 3-406-31542-9. Fulltext not available. Richardi, Reinhard and Wlotzke, Otfried (1992) Münchener Handbuch zum Arbeitsrecht: Bd. 1: Individualarbeitsrecht I. Beck, München. ISBN 3-406-35385-1. Fulltext not available. Schlögel, Herbert (1992) Nicht moralisch, sondern theologisch: zum Gewissensverständnis von Gerhard Ebeling. Walberberger Studien der Albertus-Magnus-Akademie: Theologische Reihe, 15. Matthias-Grünewald-Verlag, Mainz. ISBN 3-7867-1611-0. Schmalhofer, Franz, Strube, Gerhard and Wetter, Thomas (1992) Contemporary knowledge engineering and cognition. Lecture notes in computer science, 622. Springer, Berlin. ISBN 3-540-55711-3; 0-387-55711-3. Selig, Maria (1992) Die Entwicklung der Nominaldeterminanten im Spätlatein. Romanischer Sprachwandel und lateinische Schriftlichkeit. ScriptOralia, 26. Narr, Tübingen. ISBN 3-8233-4243-6. Fulltext not available. Thomas, Alexander (1992) Grundriß der Sozialpsychologie, Band 2: Individuum, Gruppe, Gesellschaft. Verl. für Psychologie, Hogrefe, Göttingen. ISBN 3-8017-0407-6. Fulltext not available. Tränkle, U., Poschlod, Peter and Kohler, A. (1992) Steinbrüche und Naturschutz. Vegetationskundliche Grundlagen zur Schaffung von Entwicklungskonzepten in Materialentnahmestellen am Beispiel von Steinbrüchen. Veröffentlichungen Projekt "Angewandte Ökologie": PAÖ, 4. Landesanstalt für Umweltschutz Baden-Württemberg. Fulltext not available. Wetter, Thomas, Althoff, Klaus-Dieter, Boose, John, Gaines, Brian R., Linster, Marc and Schmalhofer, Franz (1992) Current developments in knowledge acquisition - EKAW '92, 6th European Knowledge Aquisition Workshop, Heidelberg and Kaiserslautern, Germany, May 18-22, 1992: proceedings. Lecture notes in artificial intelligence, 599. Springer, Berlin. ISBN 3-540-55546-3; 0-387-55546-3. Findeisen, Andreas (1992) Der minderjährige Zeuge im Zivilprozess. PhD, Universität Regensburg. Hofmann, Hubert (1992) Psychologiestudium als Hochschulsozialisation? Prozessanalytische Auswertung schriftlicher Interviews bei Studenten im Grundstudium. Diplomarbeit, UNSPECIFIED. Fulltext not available. Kreutz, Marina (1992) Induktion der Differenzierung humaner Monozyten in vitro durch Vitamin D3-Metabolite und definierte Serumproteine. PhD, Univ. Freiburg. Fulltext not available. Pallasch, Ulrich (1992) Der Beschäftigungsanspruch des Arbeitnehmers: eine kritische Analyse. PhD, Universität Regensburg. Fulltext not available. Seiser, Kismet (1992) Sexualerziehung und Sexualität türkischer Mädchen und junger Frauen in der Bundesrepublik Deutschland. 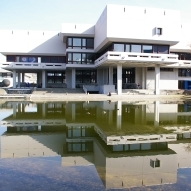 Diplomarbeit, Fachhochschule München. Fulltext not available. Ernst, Gerhard (1992) Eine Kindheit am französischen Königshof: Ludwig XIII. im Journal d'Héroard (Sendung "Soirée" des SWF, 15.2.1992). Fulltext not available. Grziwotz, Herbert and Döring, Rainer (1992) Öffentliches Baurecht in der notariellen Praxis. Dt. Anwaltsinstitut, Bochum. Fulltext not available. This list was generated on Thu Apr 18 22:25:24 2019 CEST.